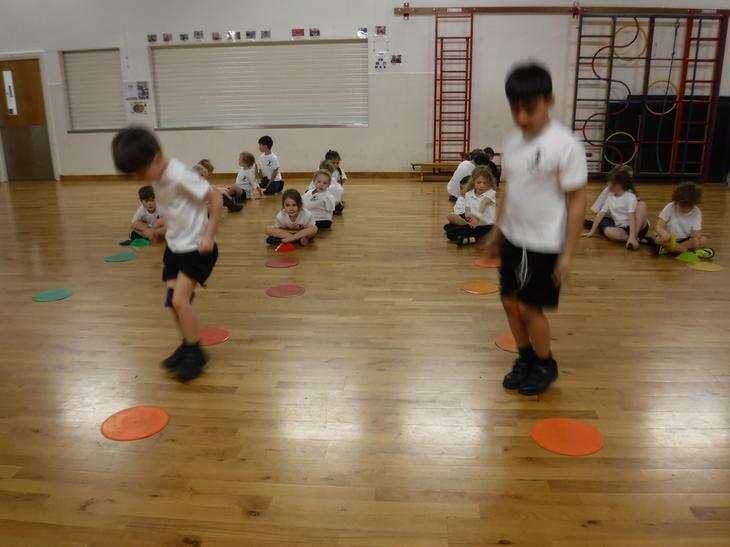 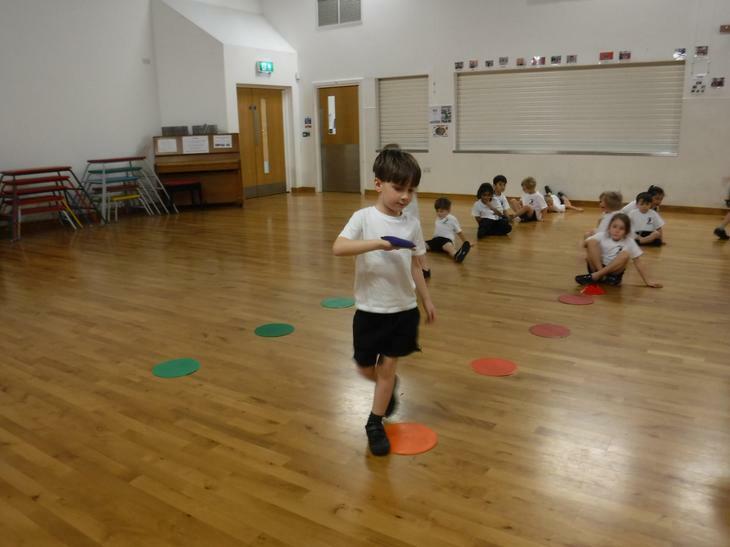 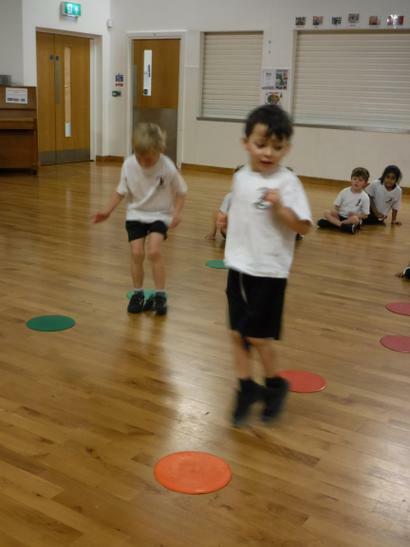 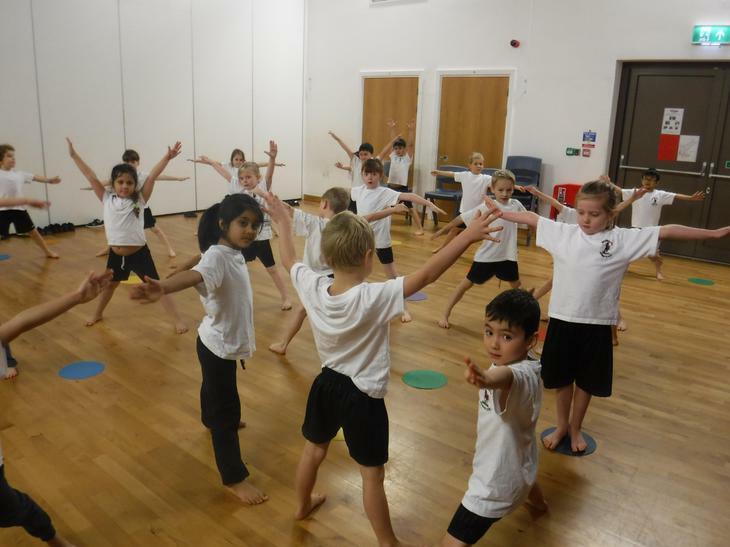 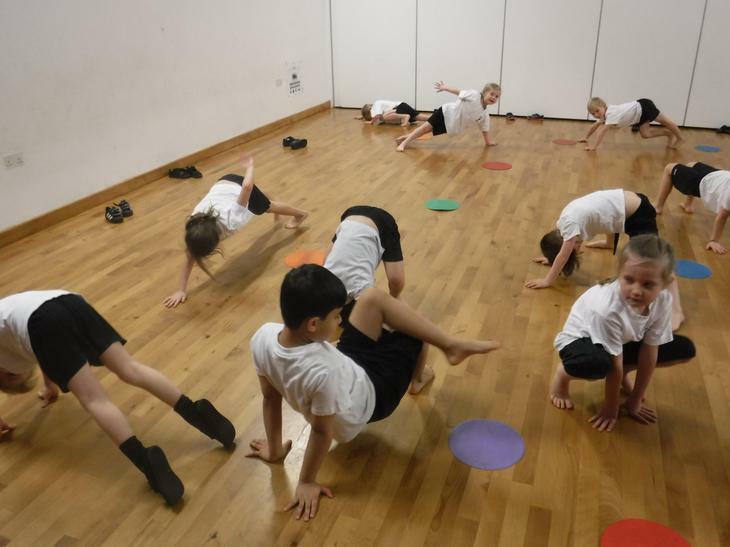 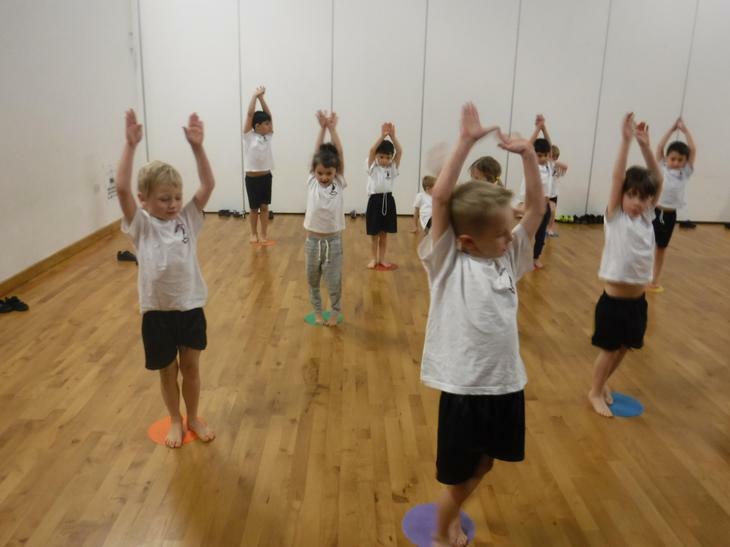 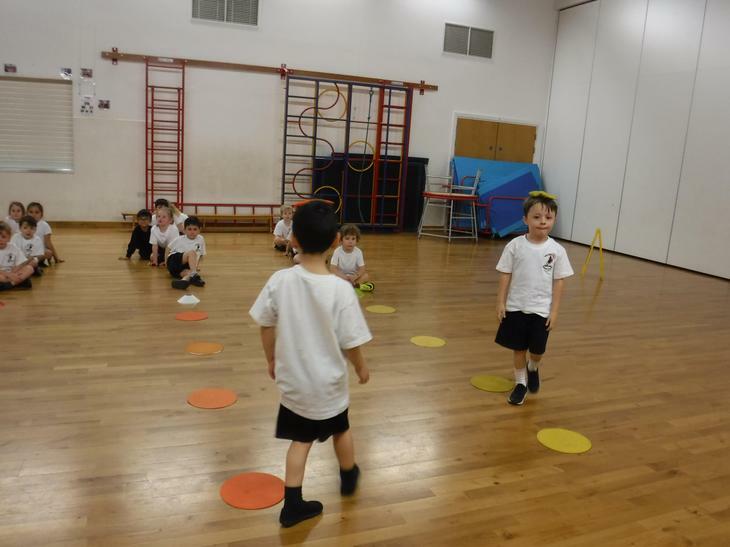 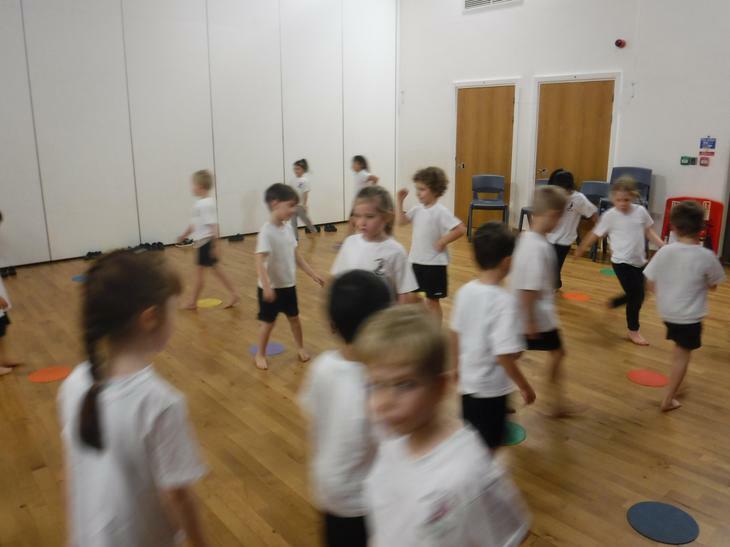 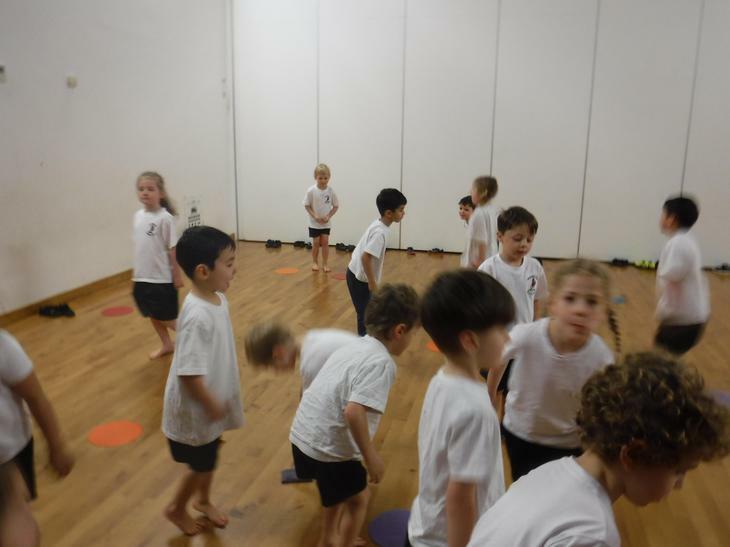 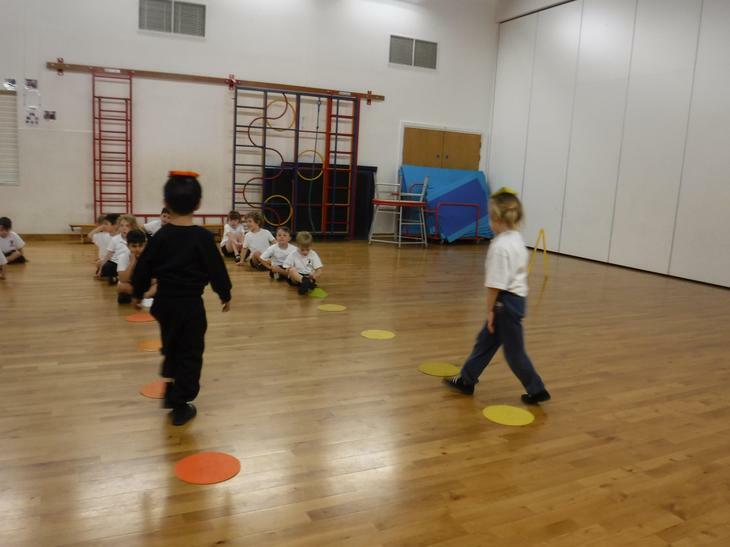 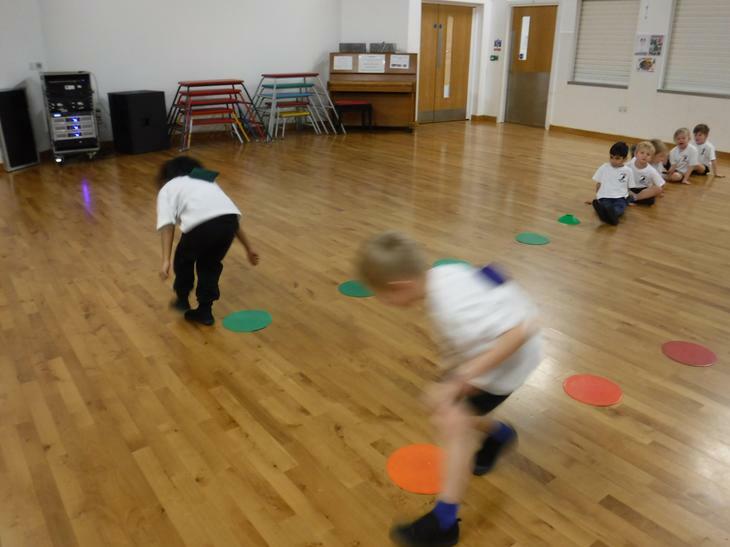 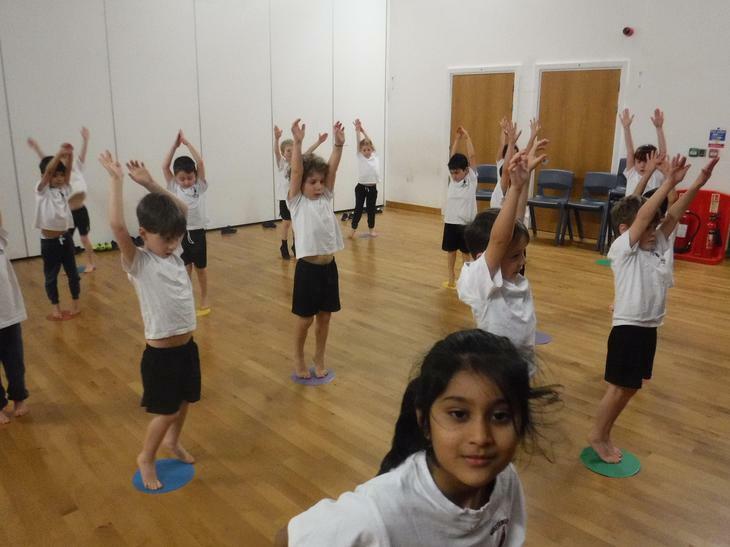 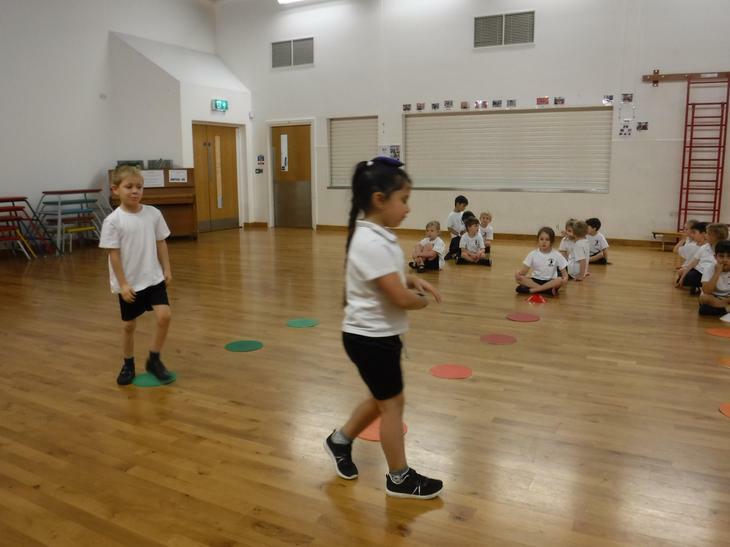 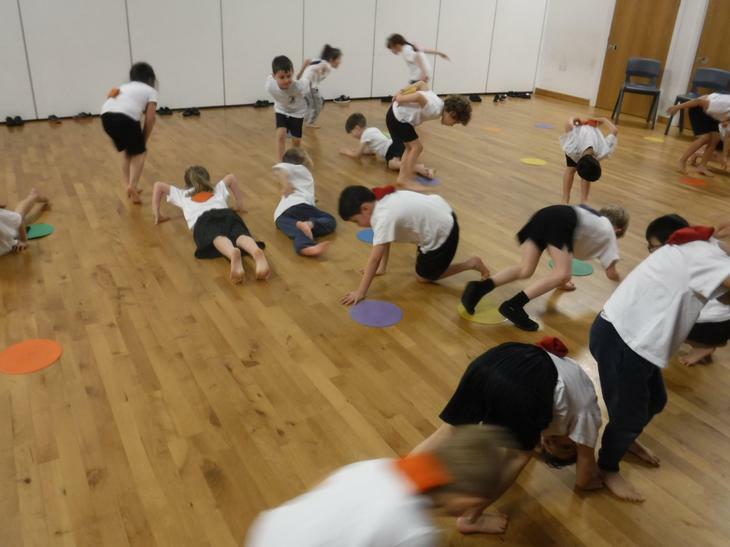 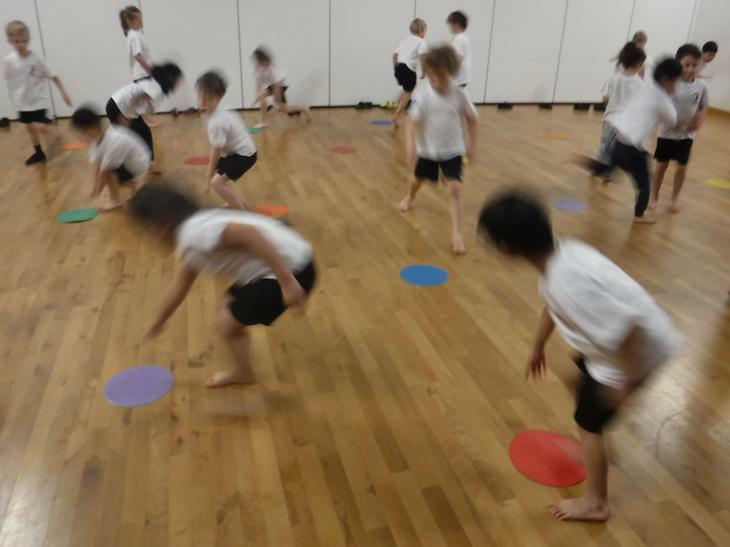 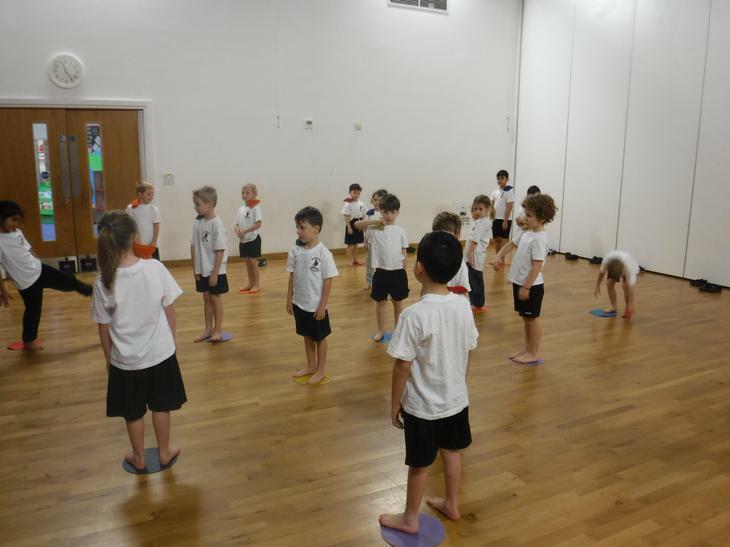 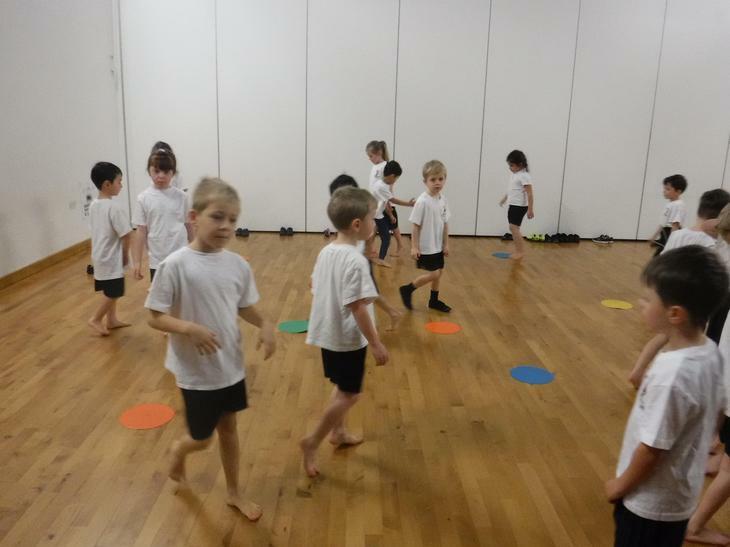 We warmed up bodies up by completing some stretches on our sticky spots- tall, wide and small. 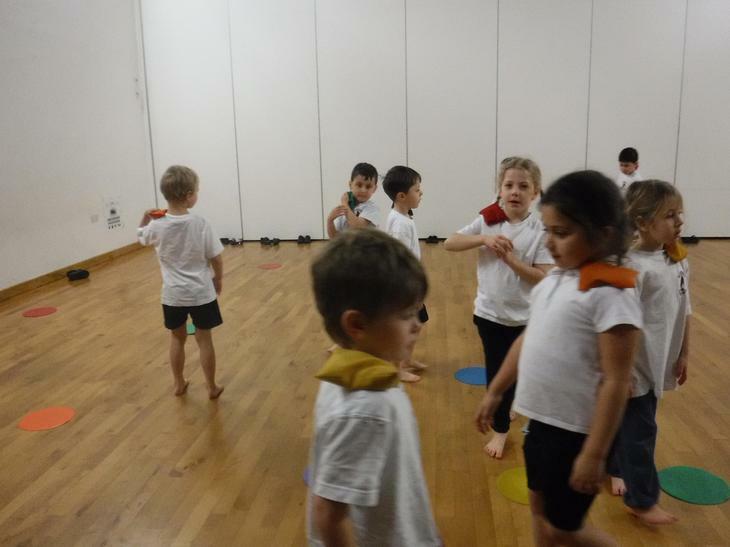 Then we played 'statues' - we walked in and out of the sticky spots and waited to hear 'stop' or 'statue'. 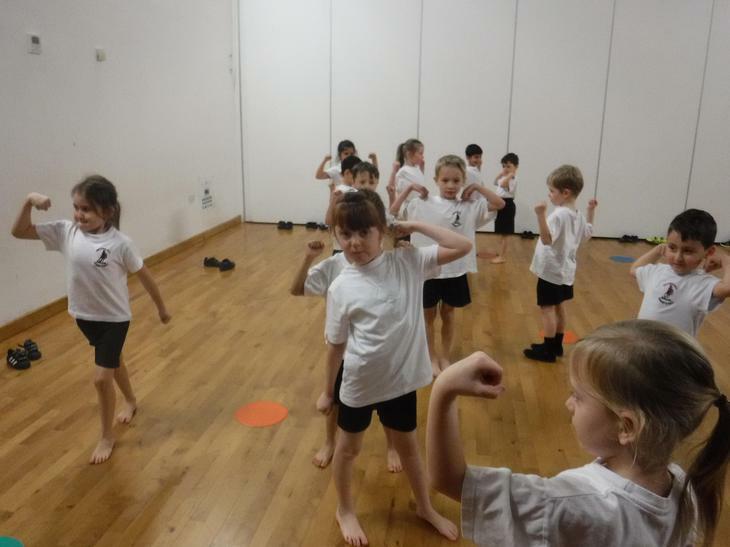 Once we heard the signal, we had to freeze like a statue - strong muscles, tight bodies, star, and hands and feet. 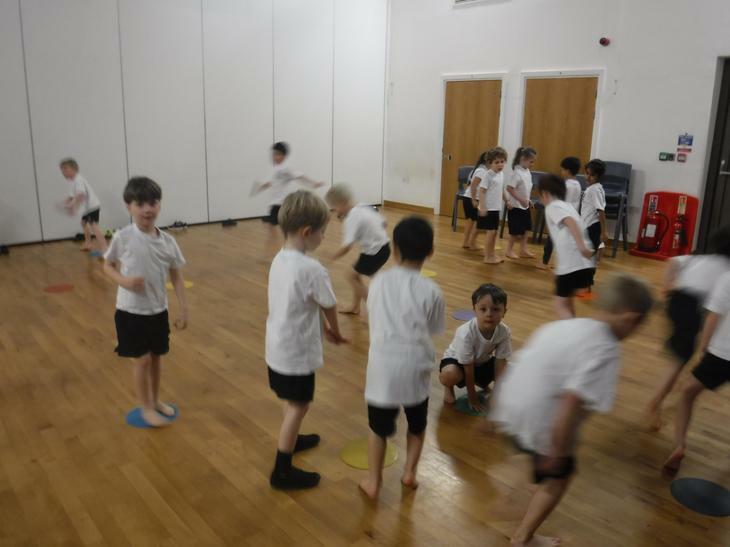 Then we played a balancing game called 'sticky bits'. 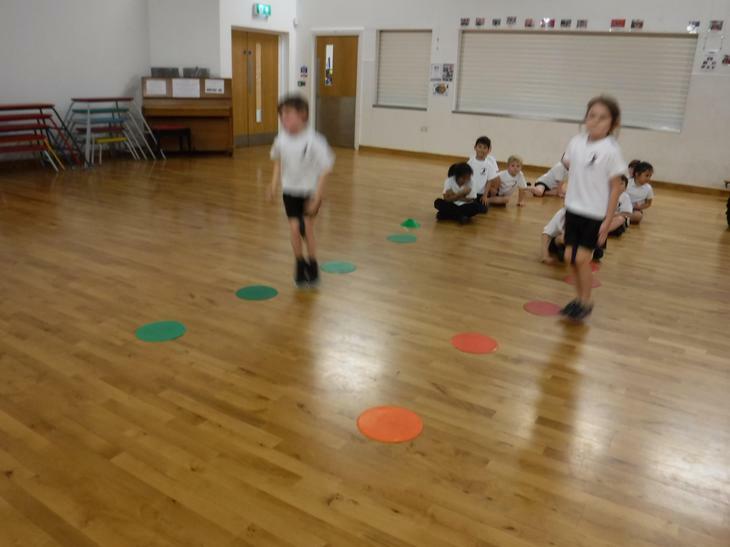 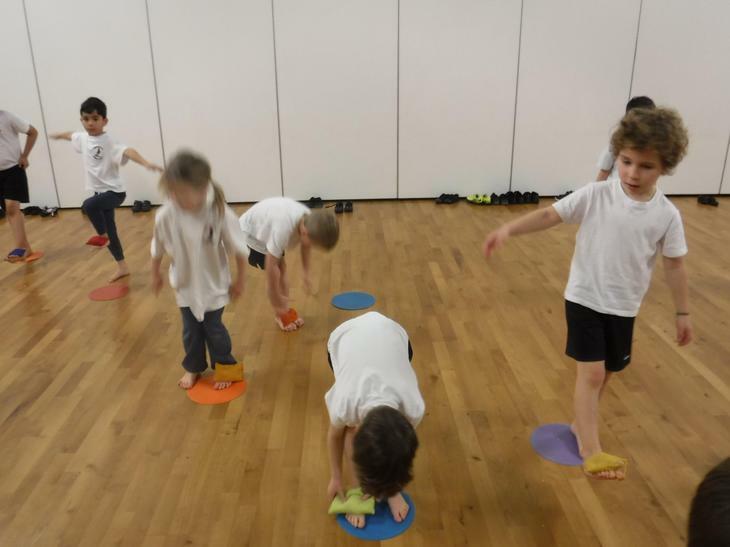 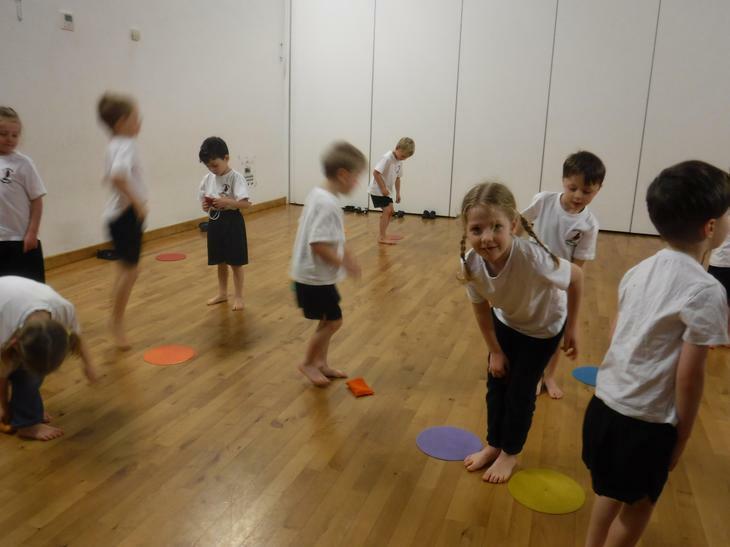 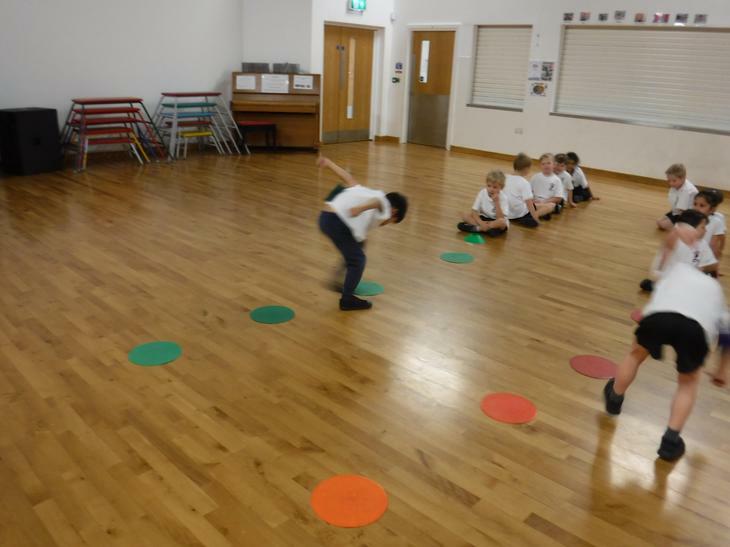 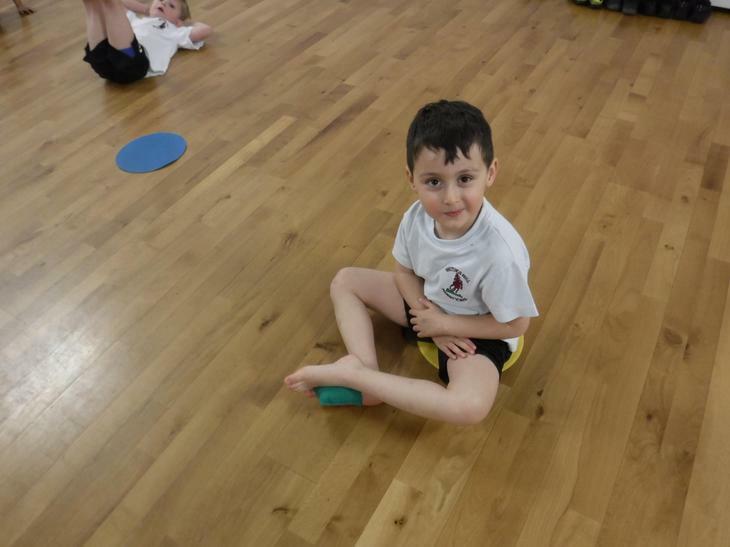 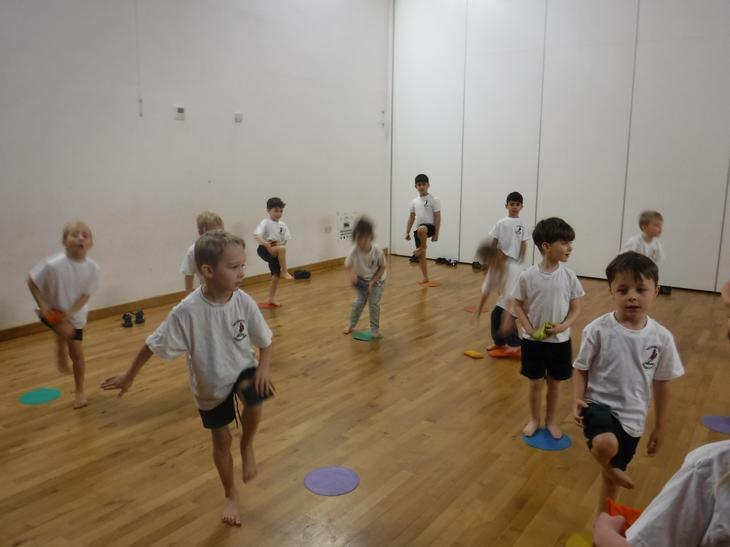 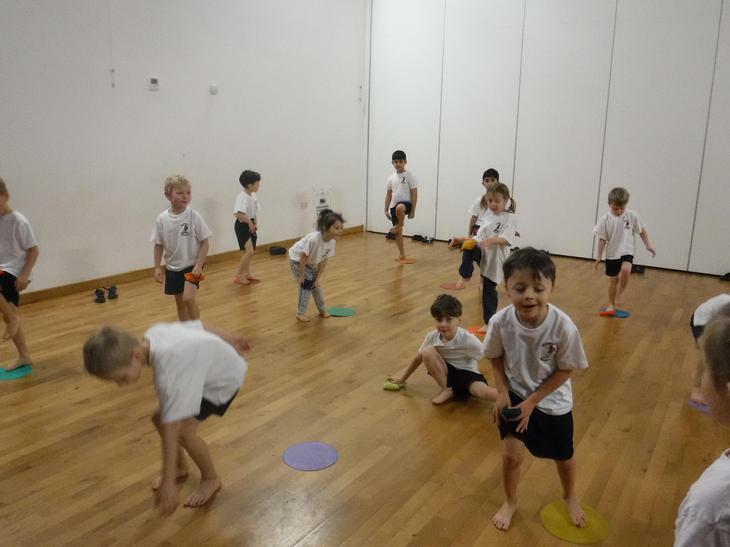 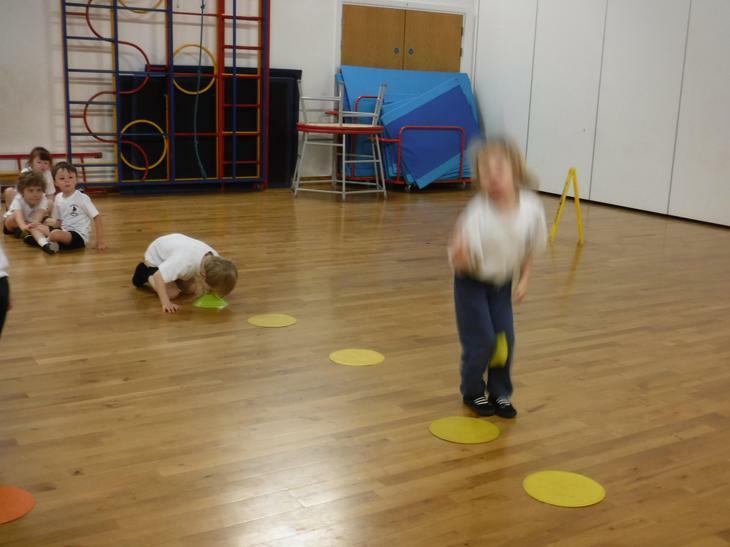 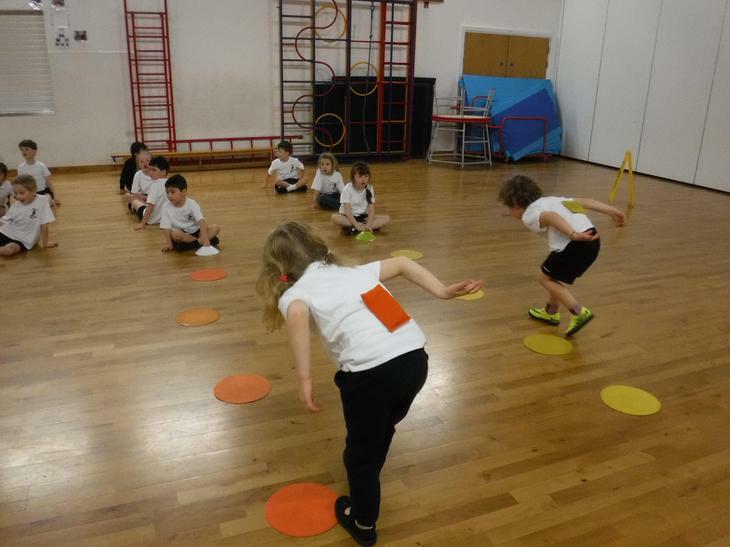 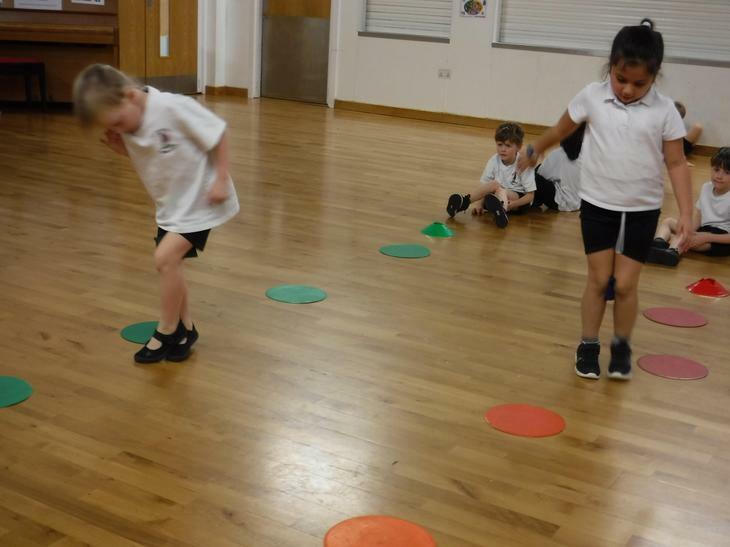 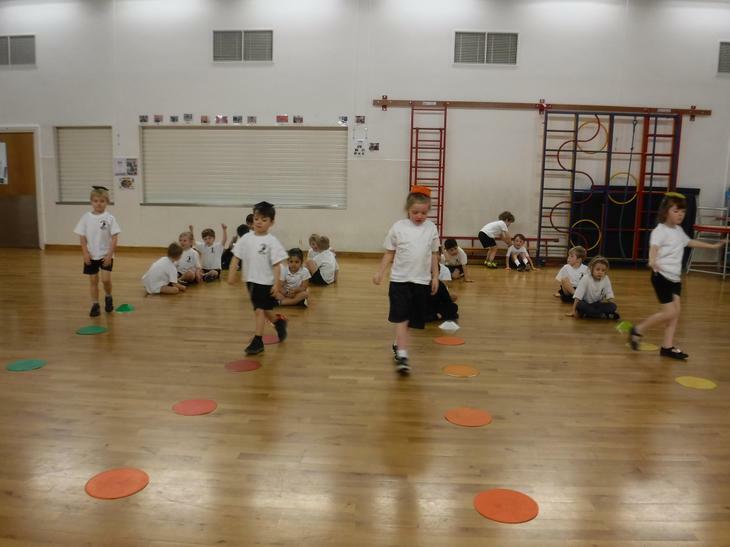 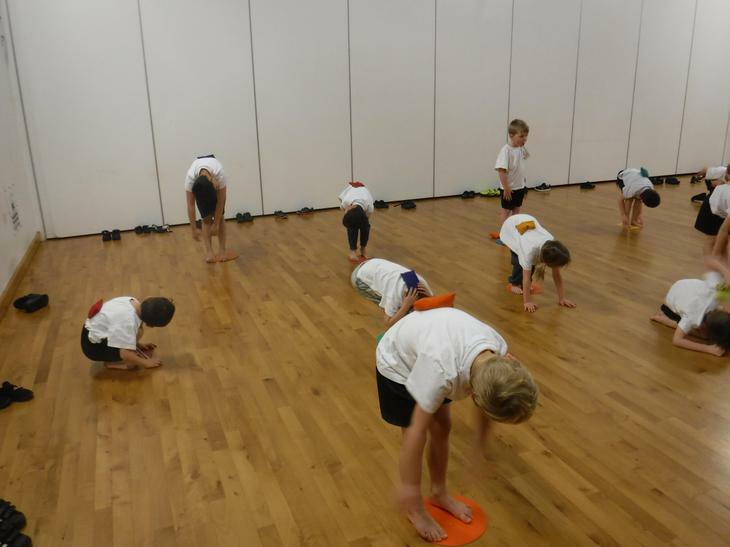 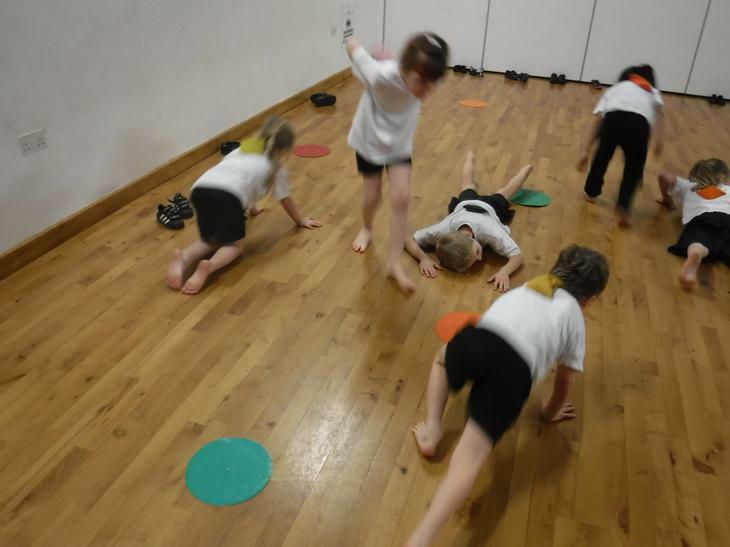 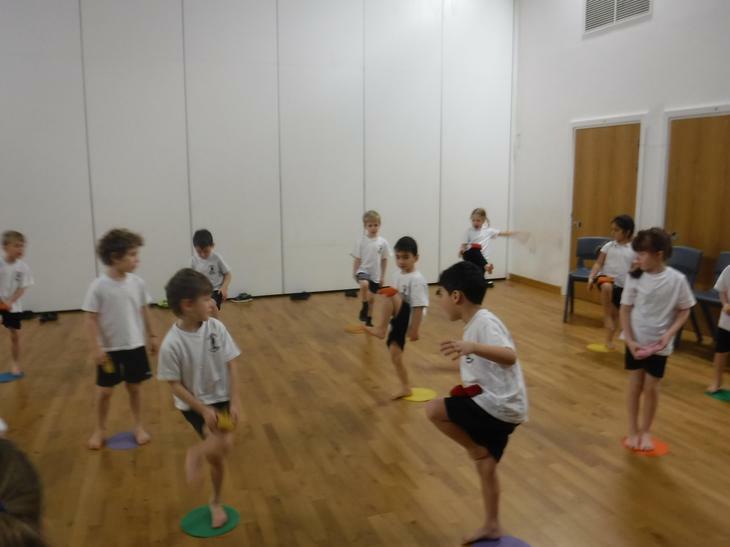 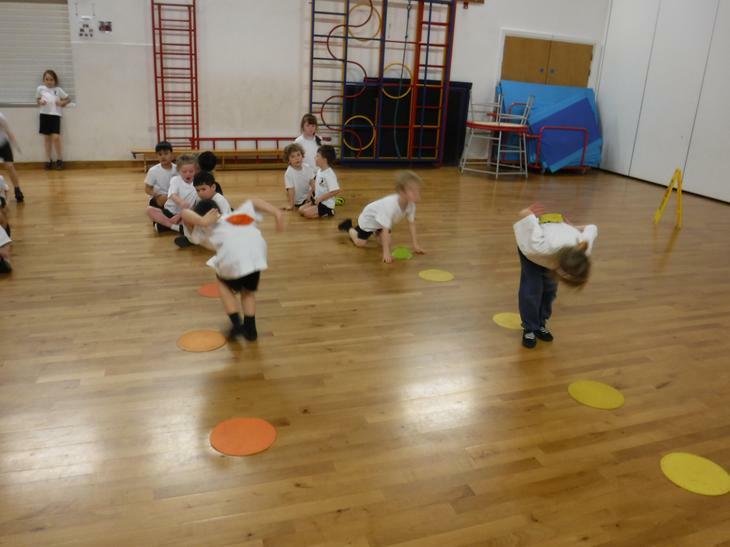 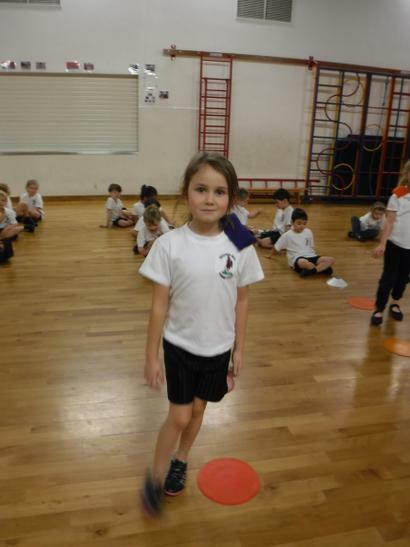 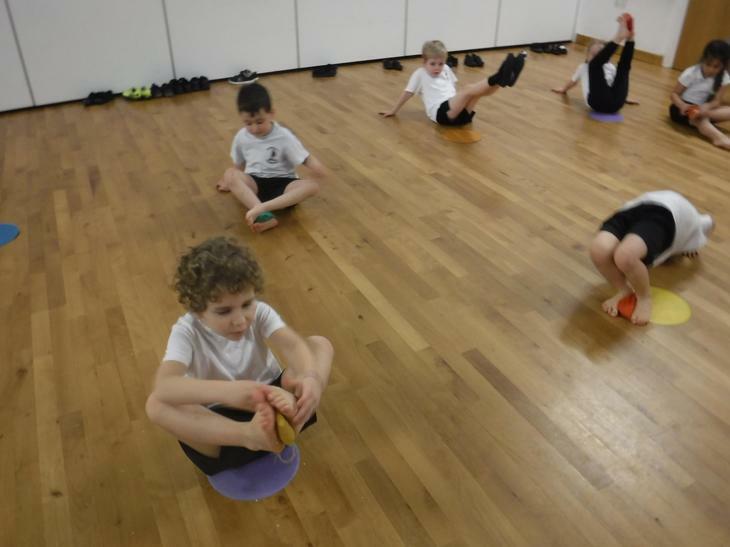 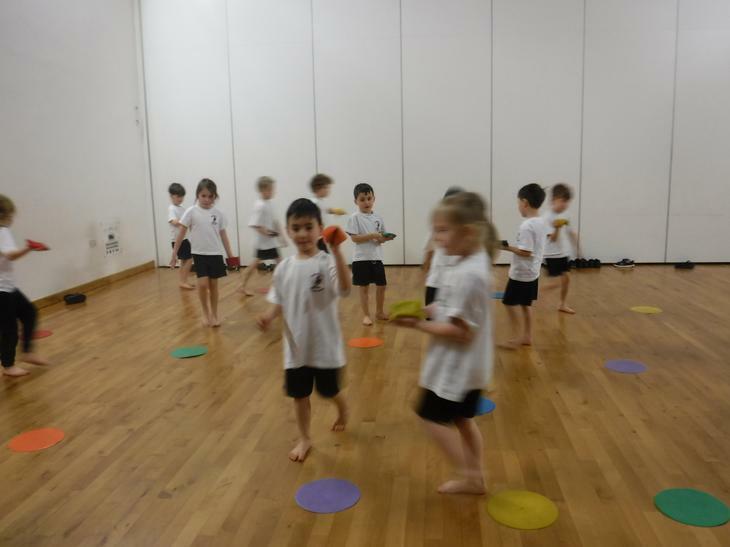 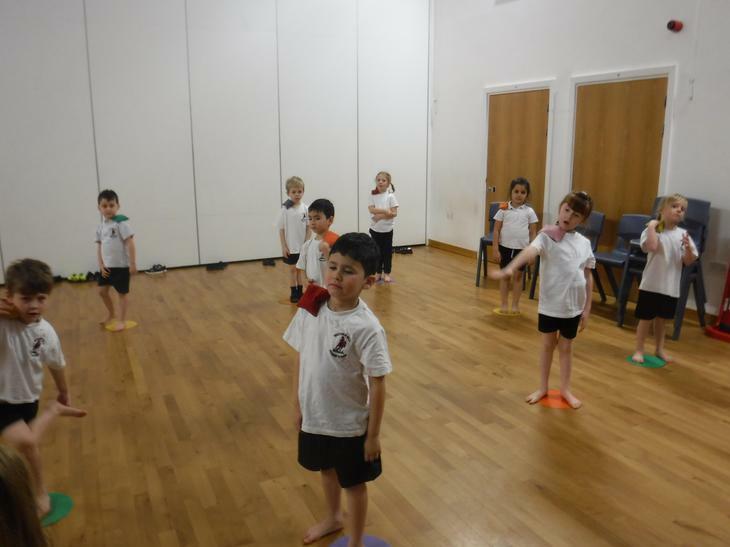 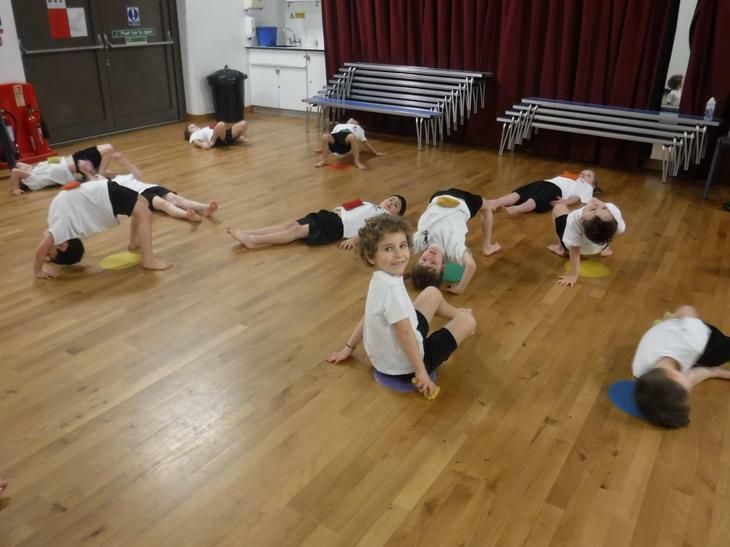 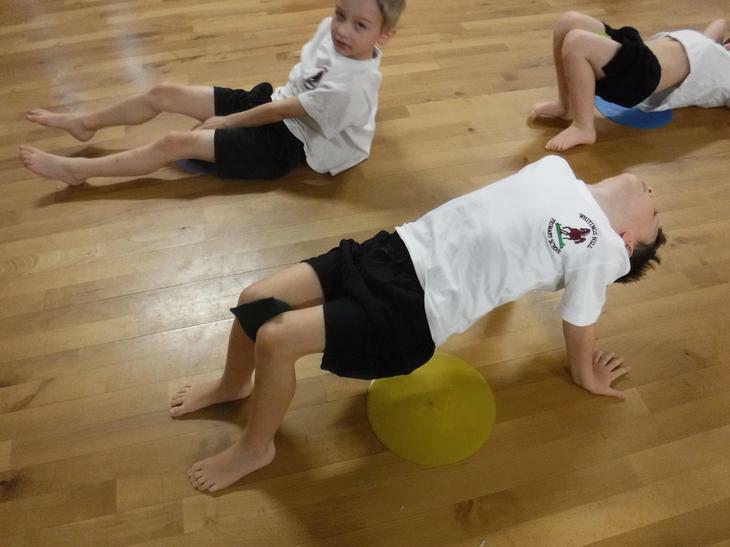 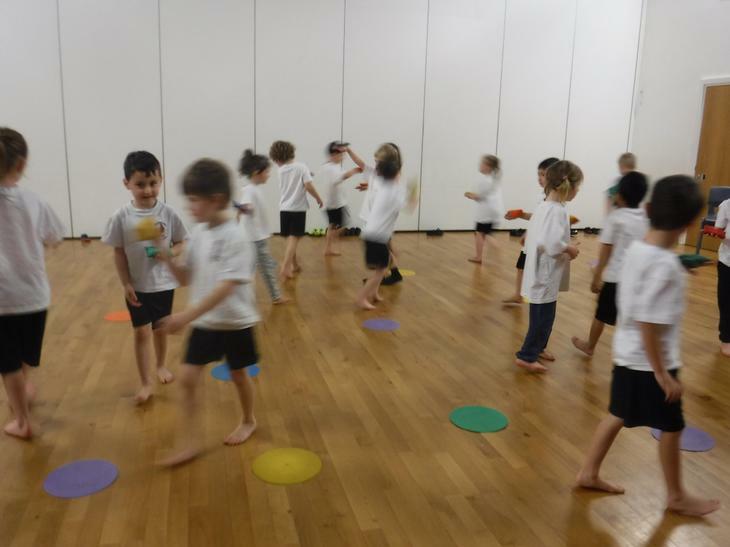 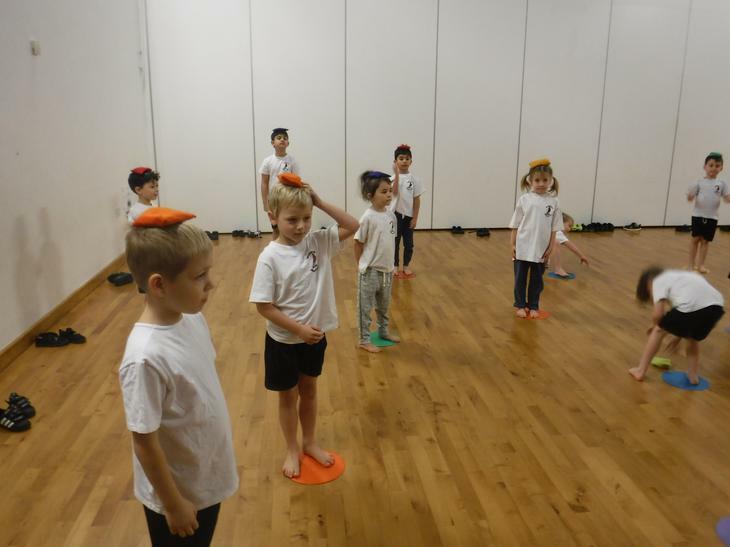 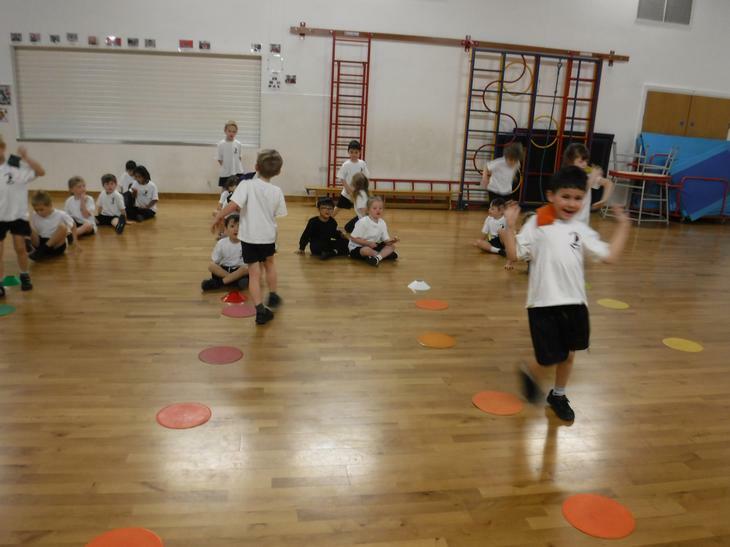 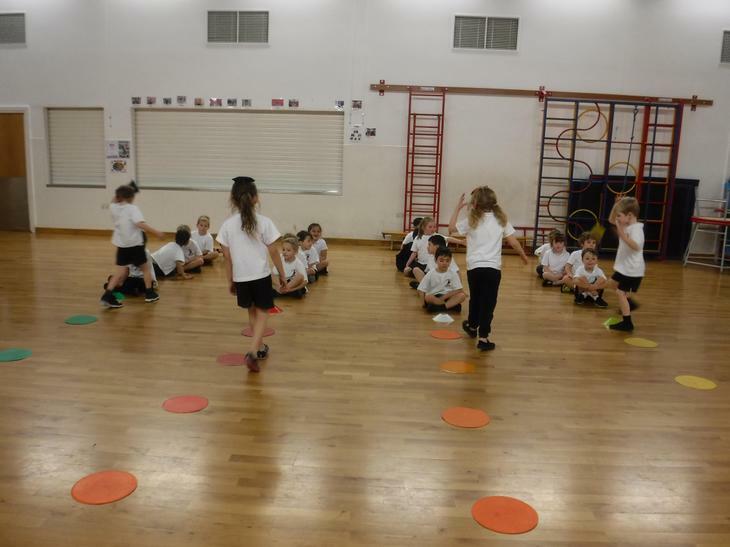 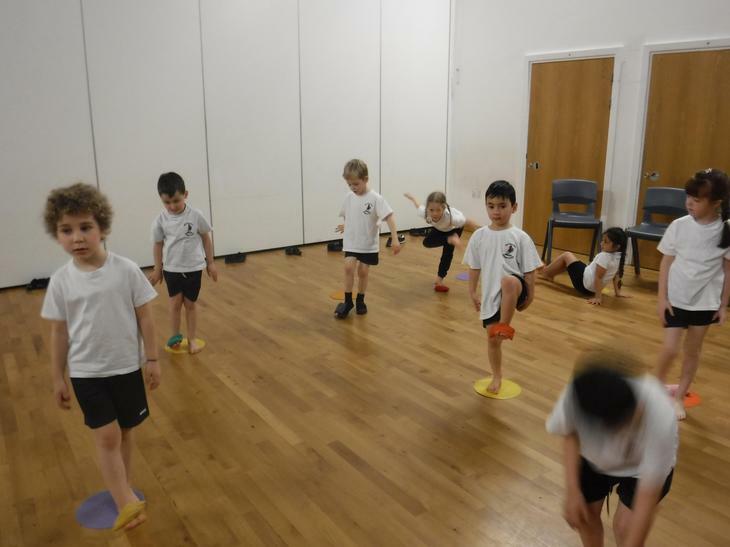 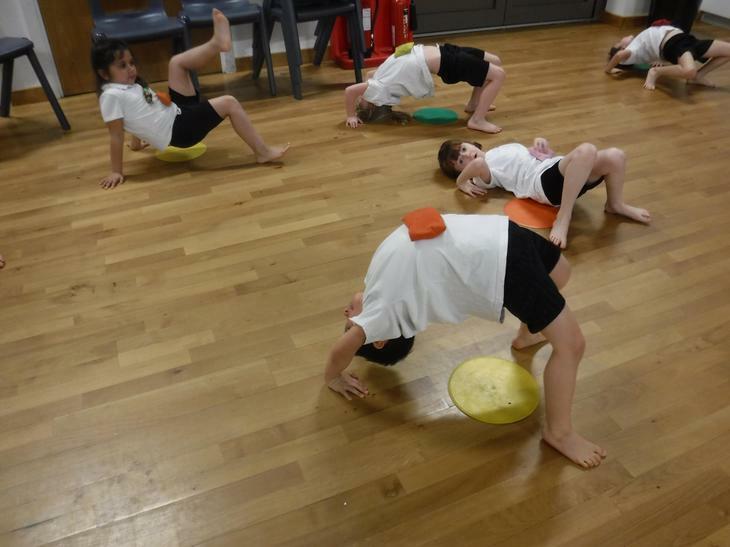 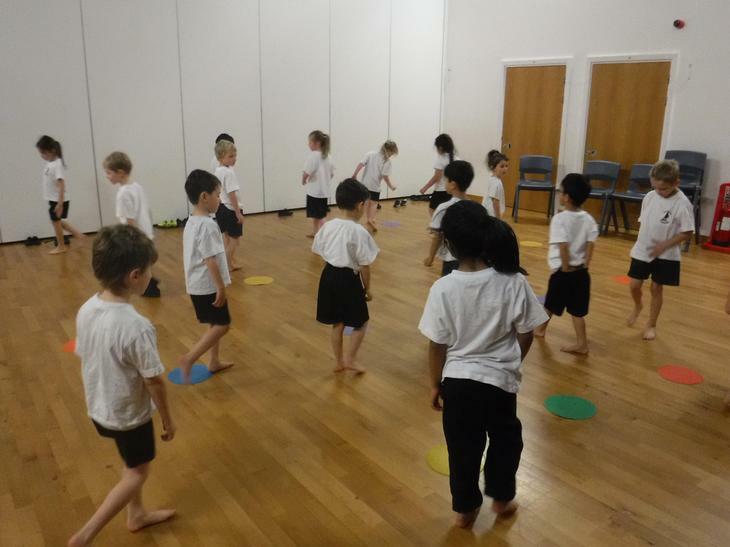 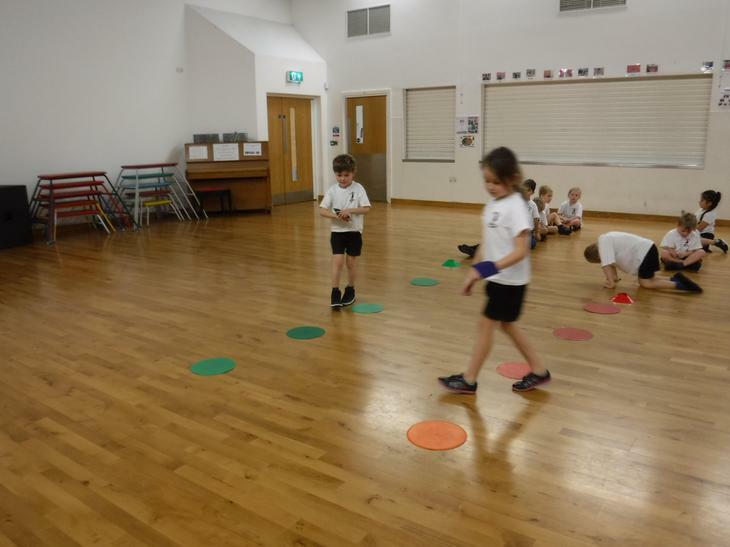 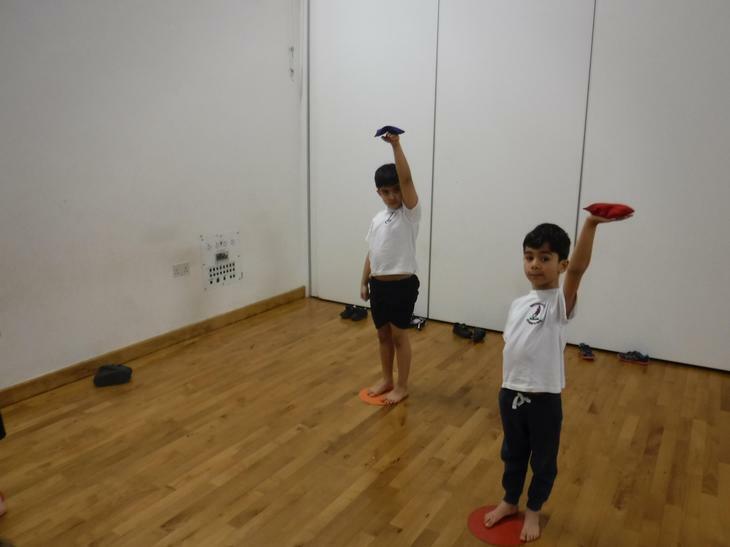 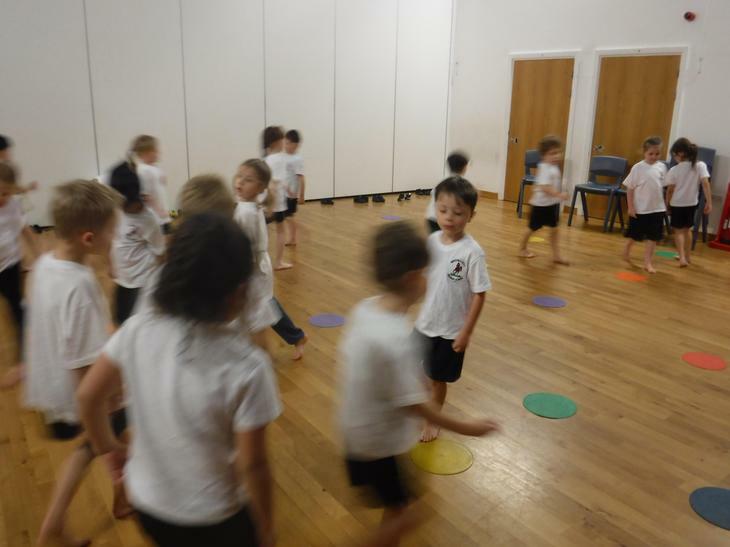 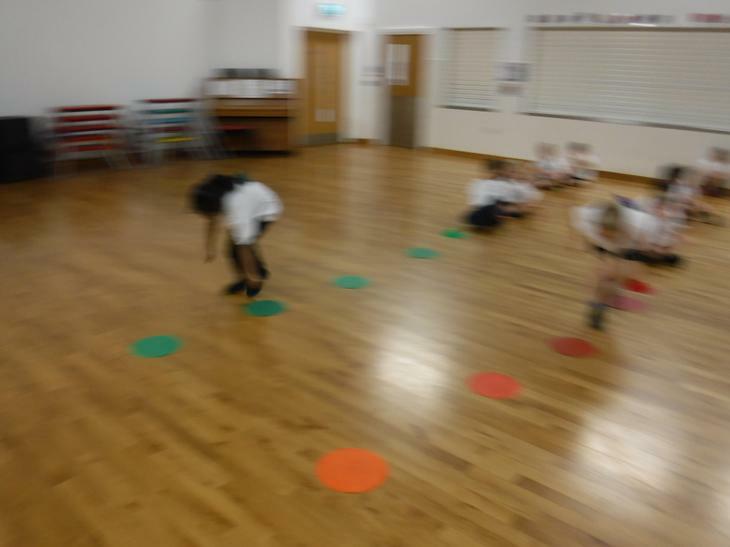 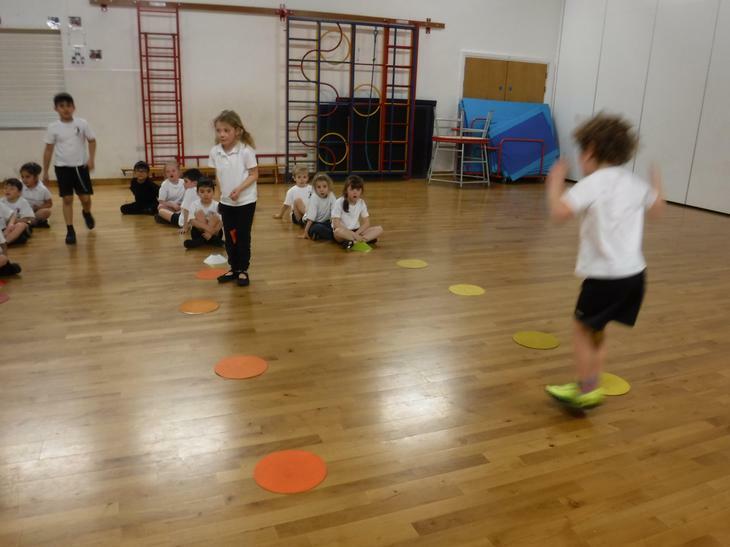 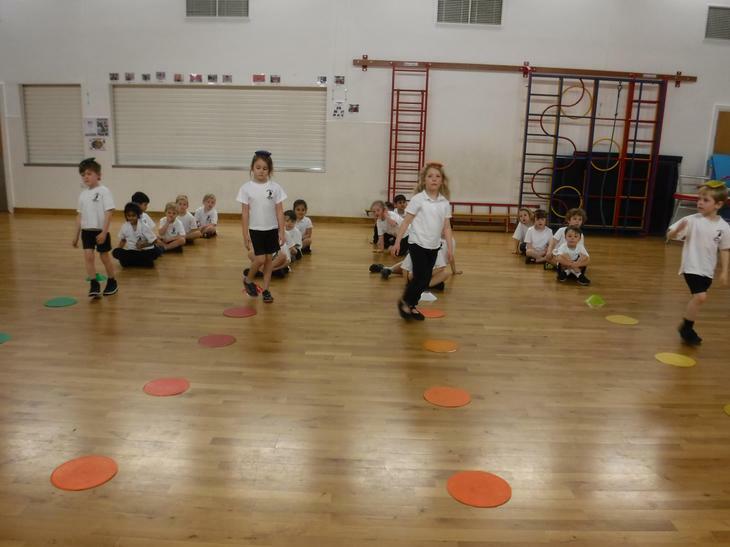 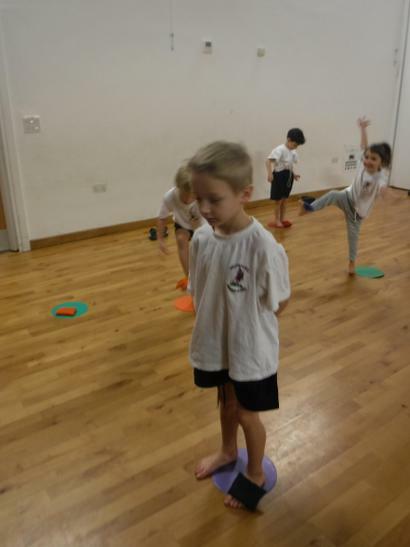 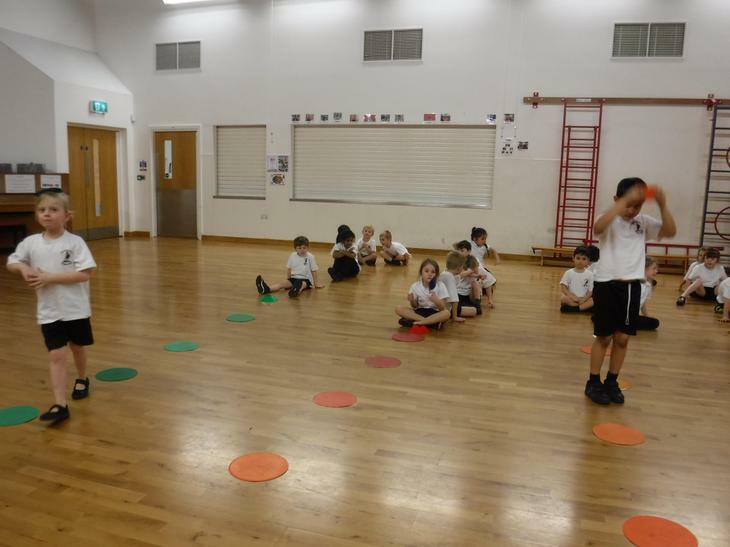 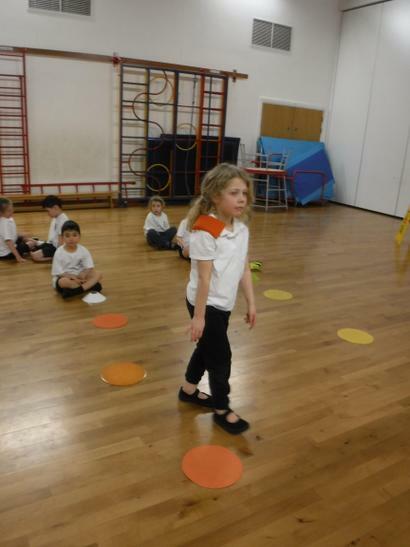 We balanced a bean bag on different parts of our bodies - knee, shoulder, head, back, tummy, hand and foot. 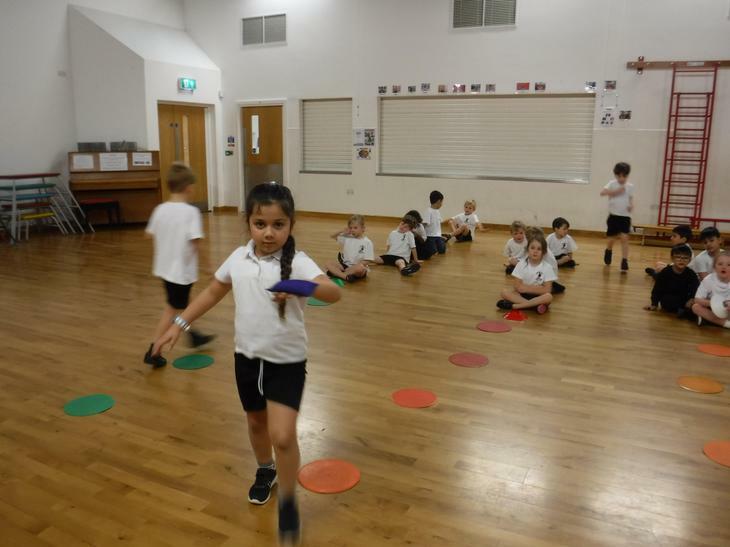 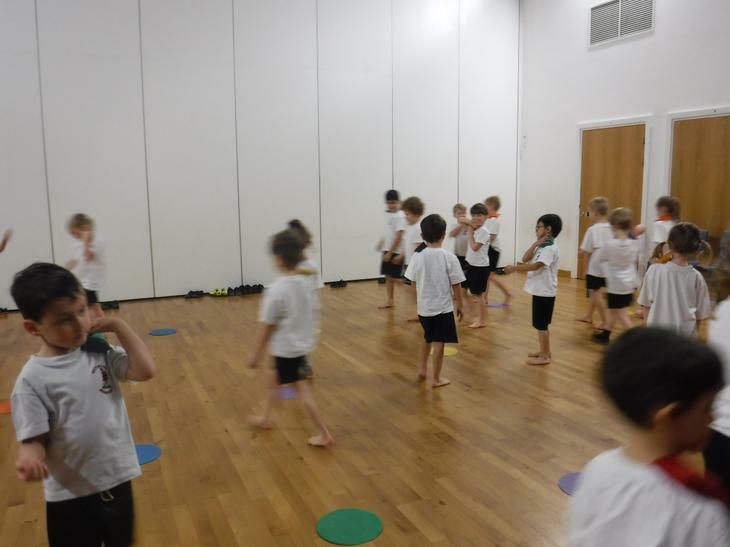 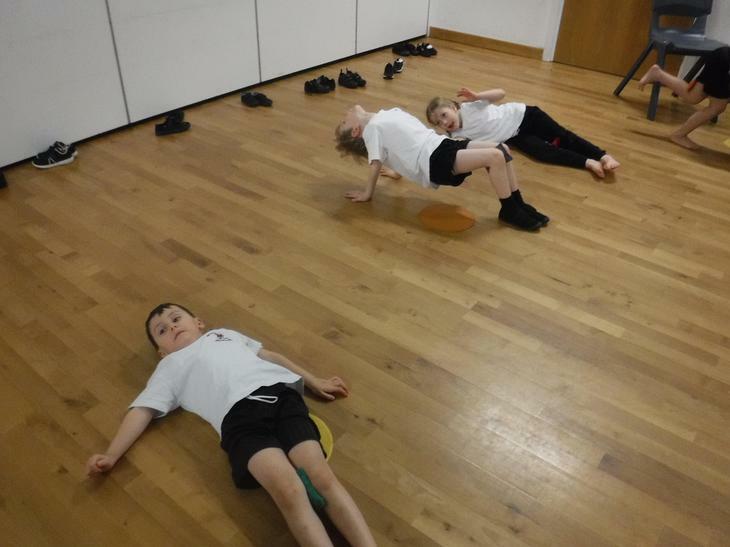 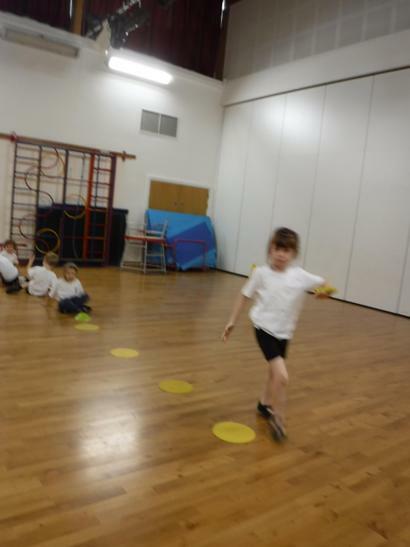 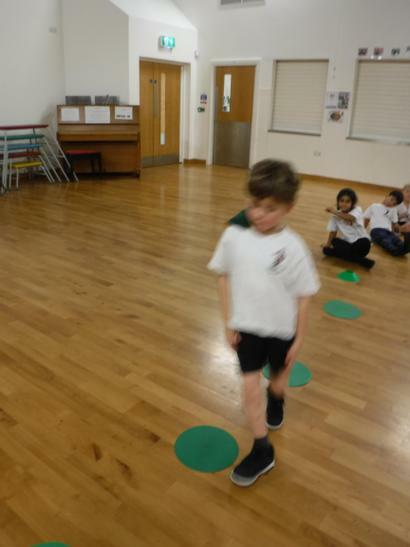 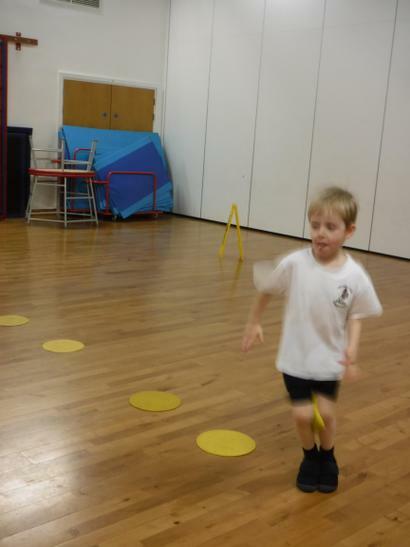 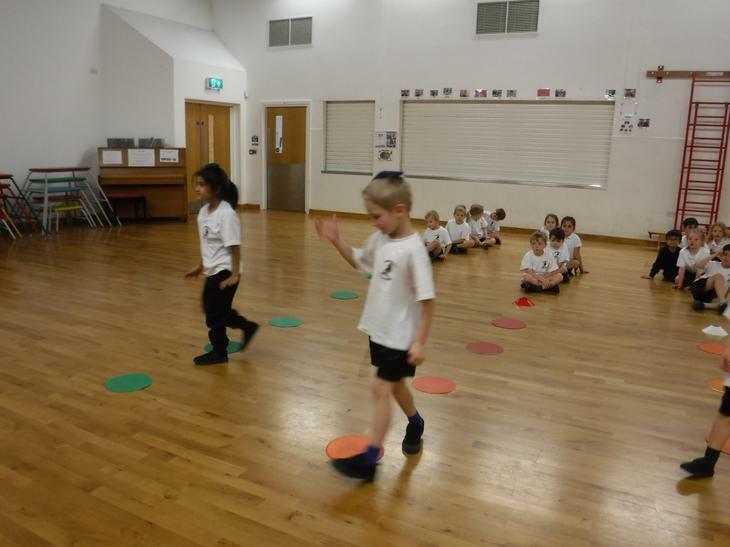 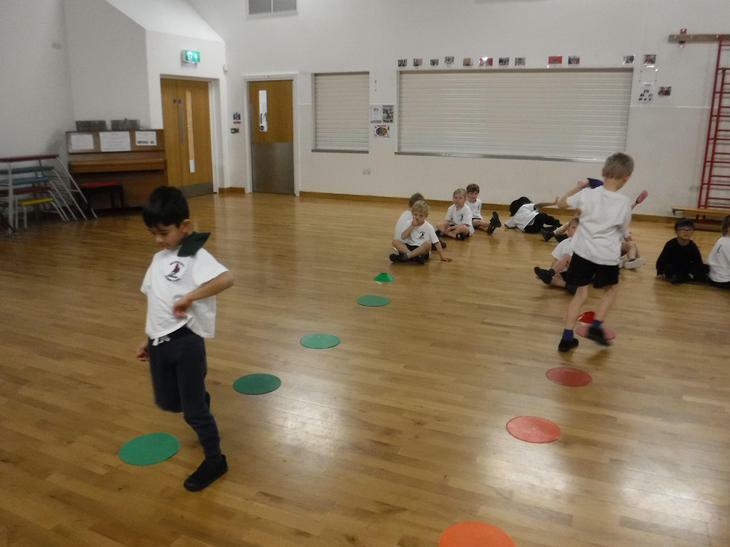 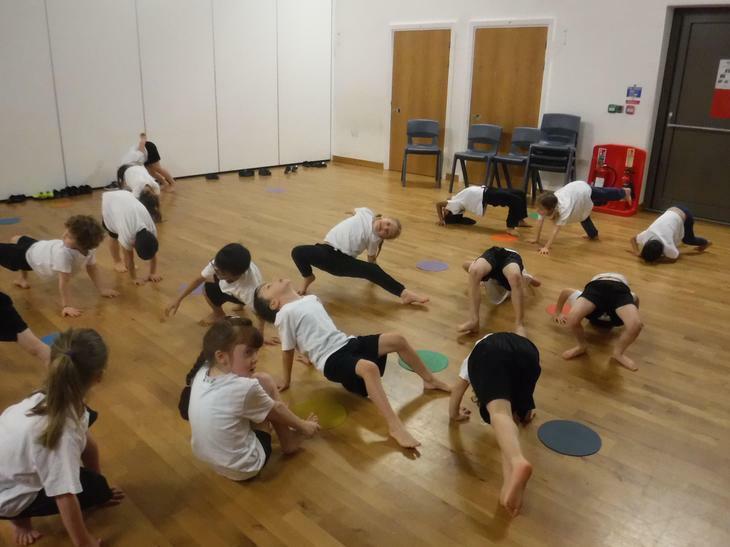 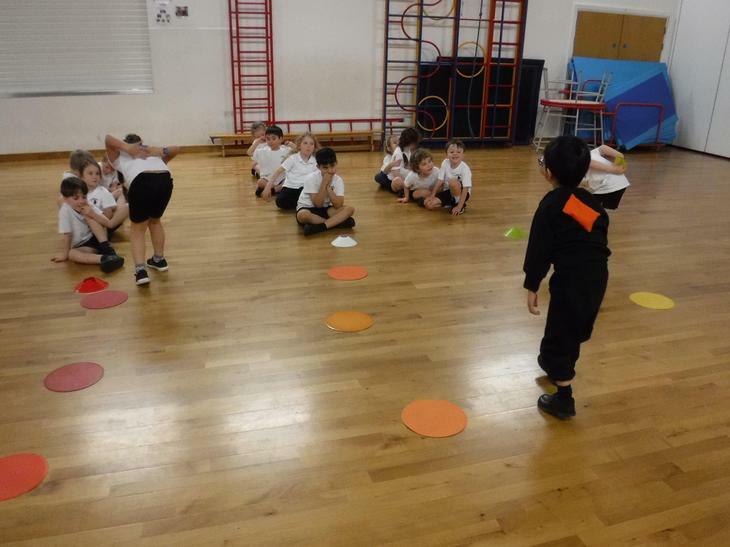 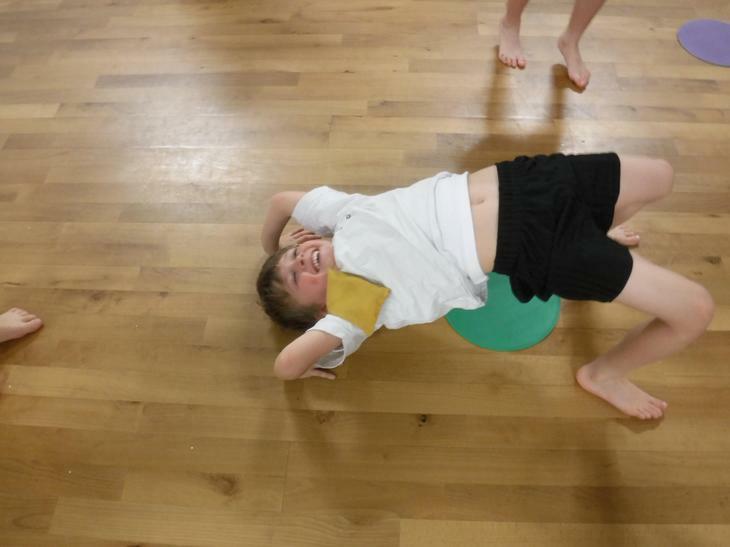 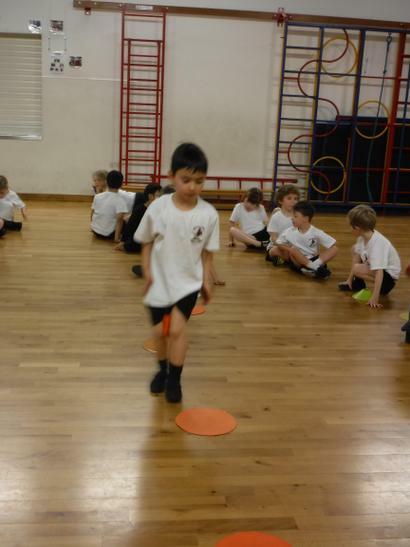 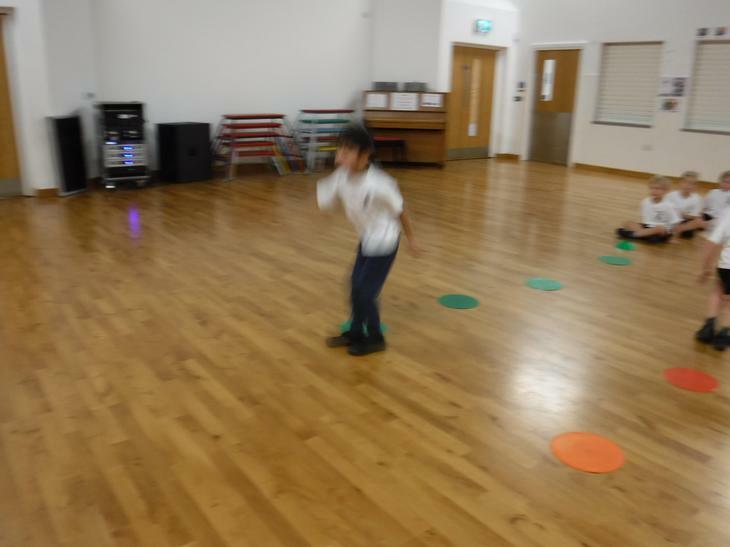 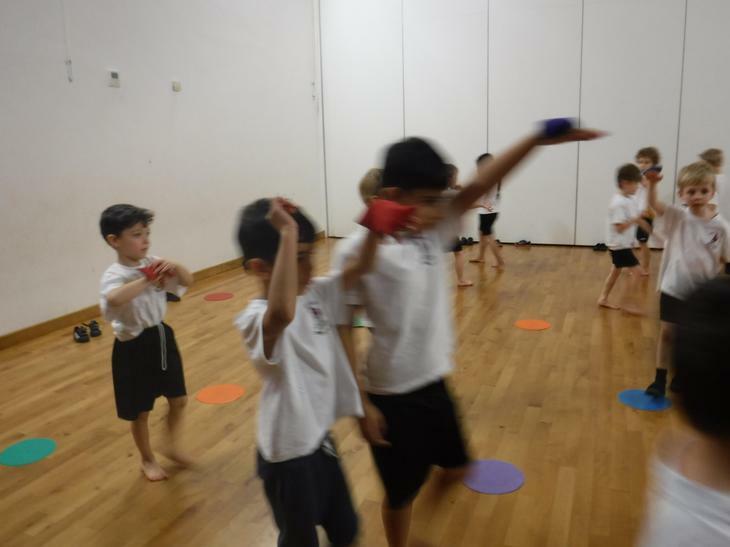 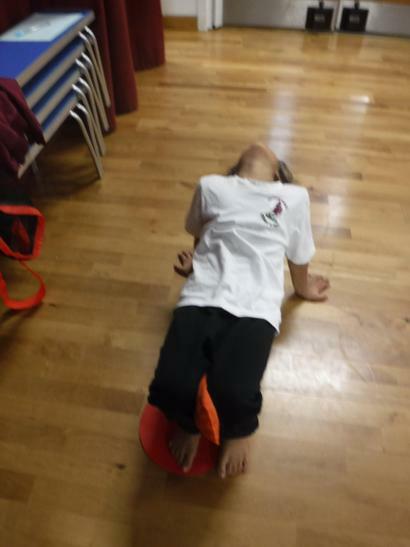 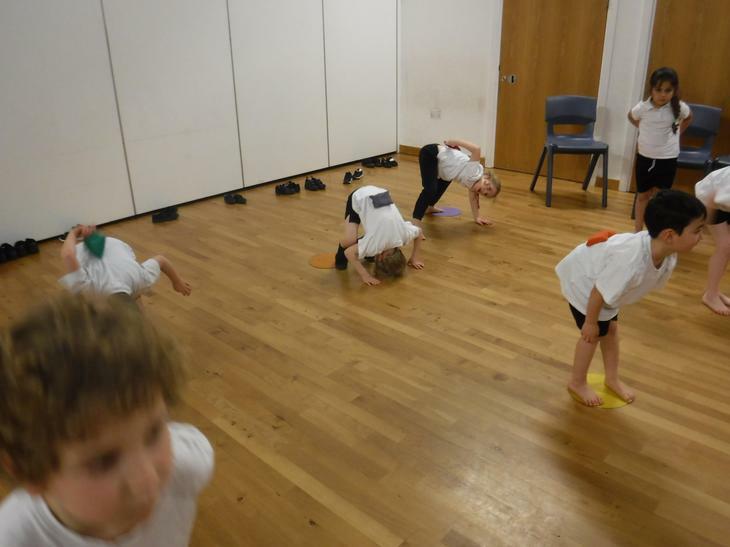 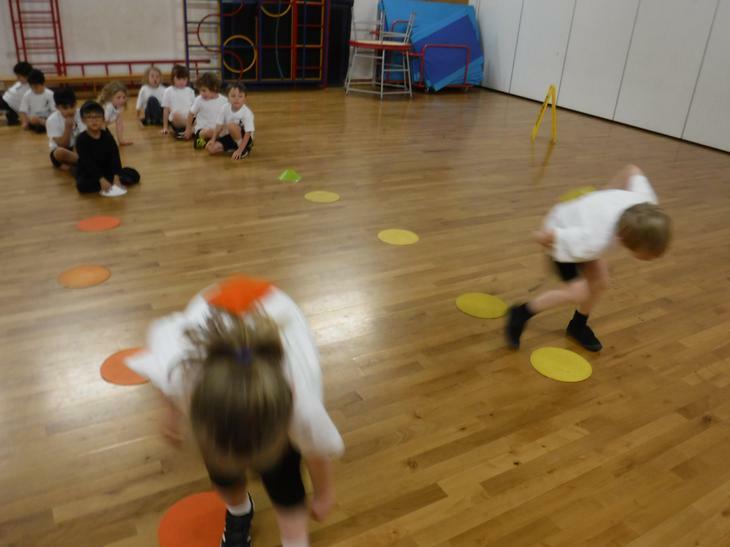 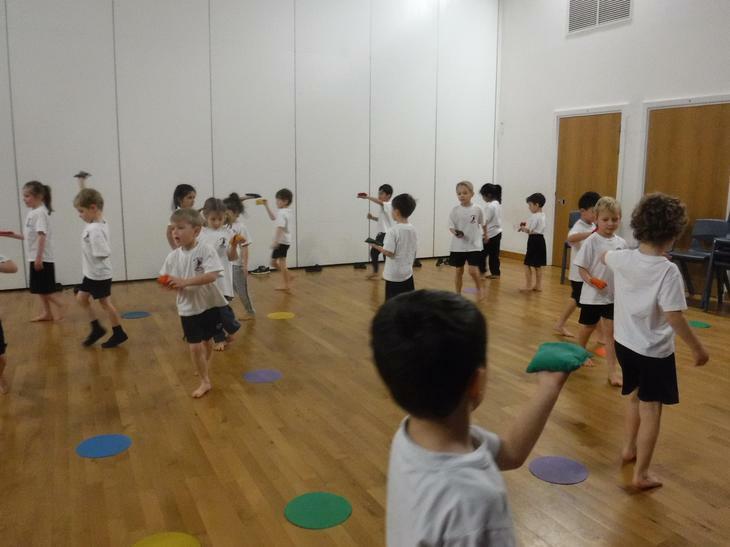 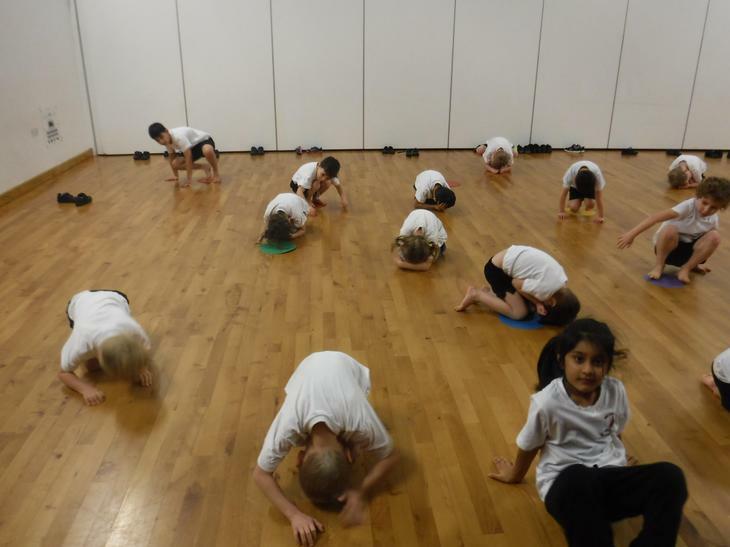 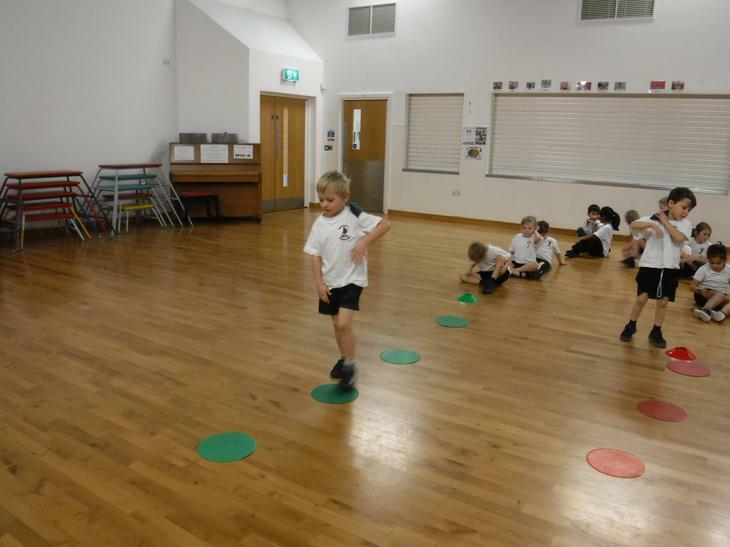 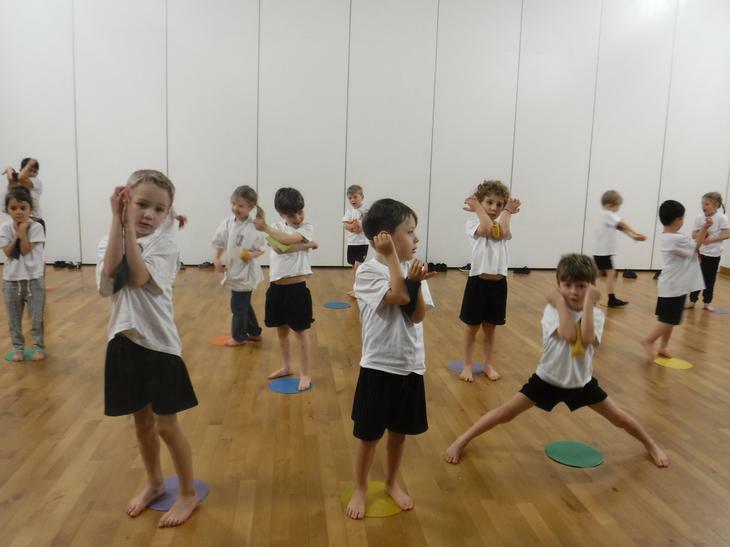 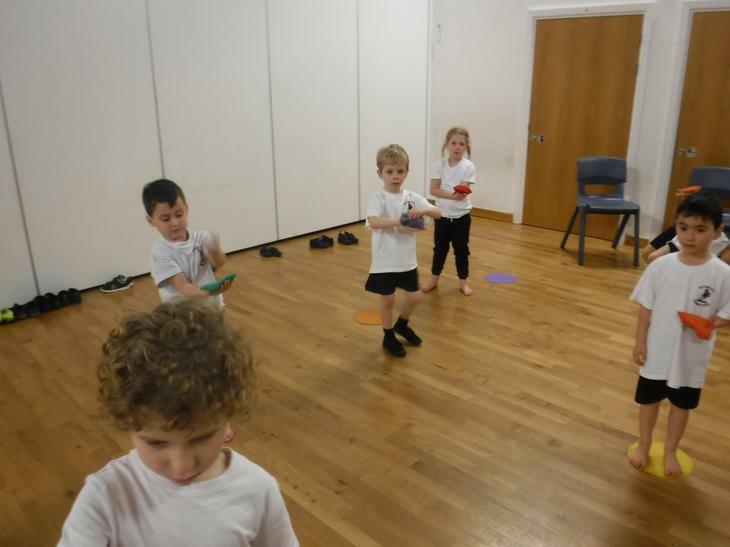 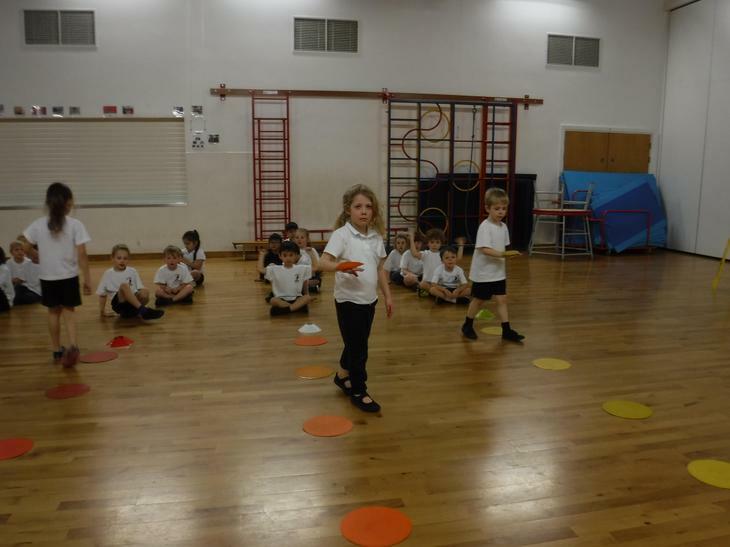 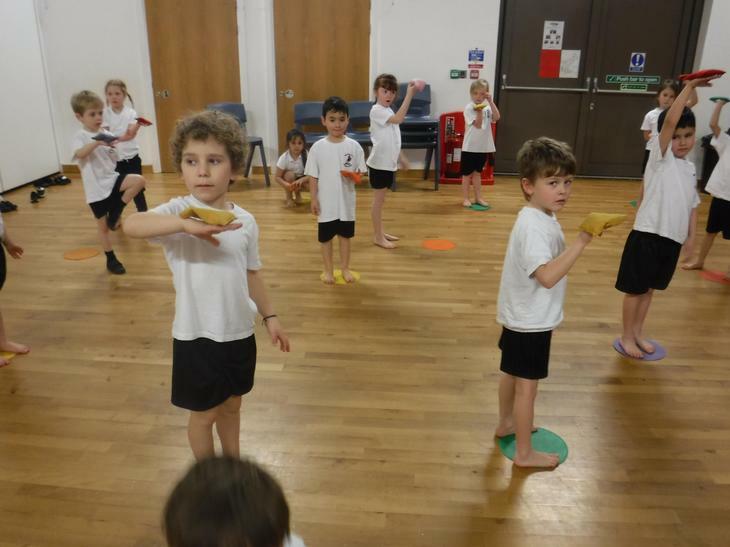 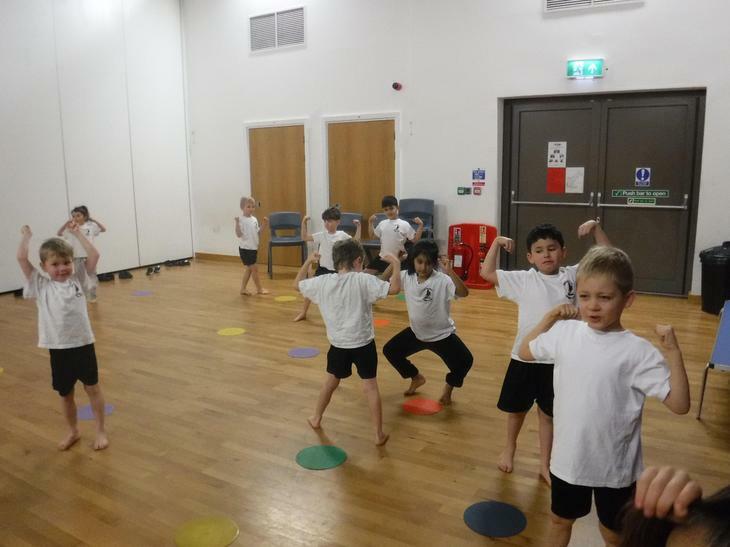 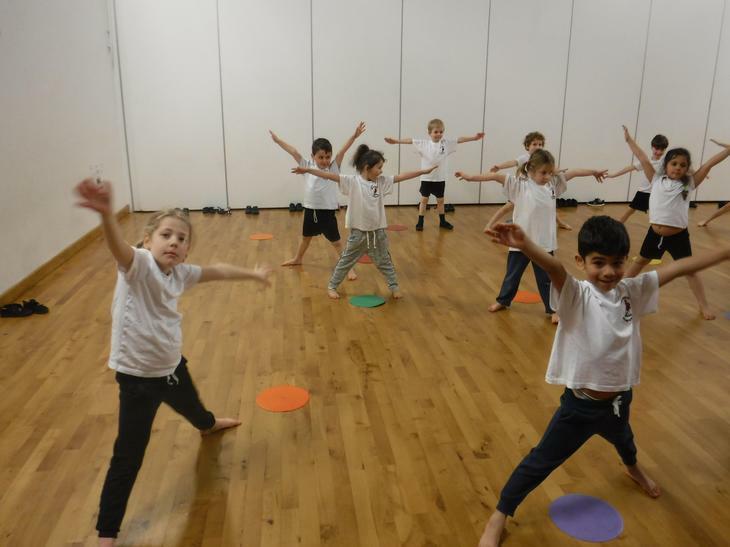 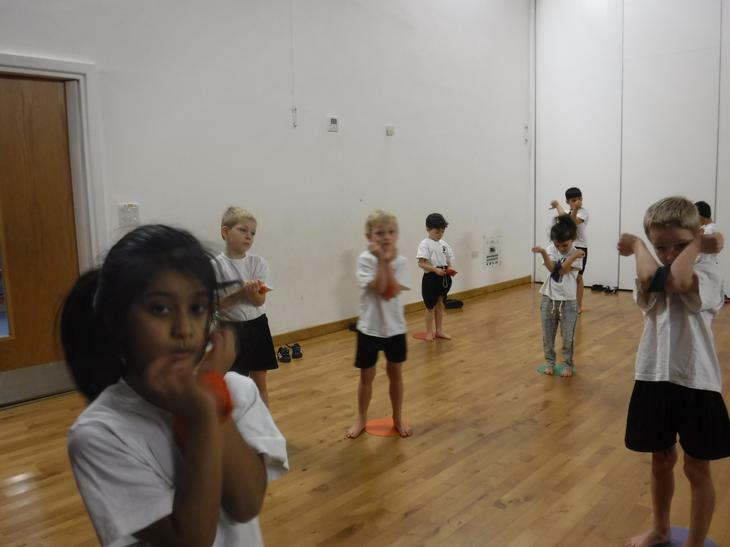 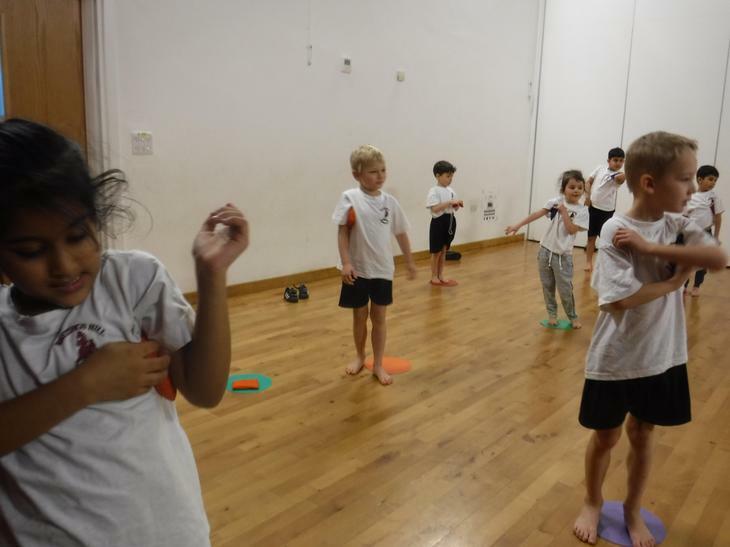 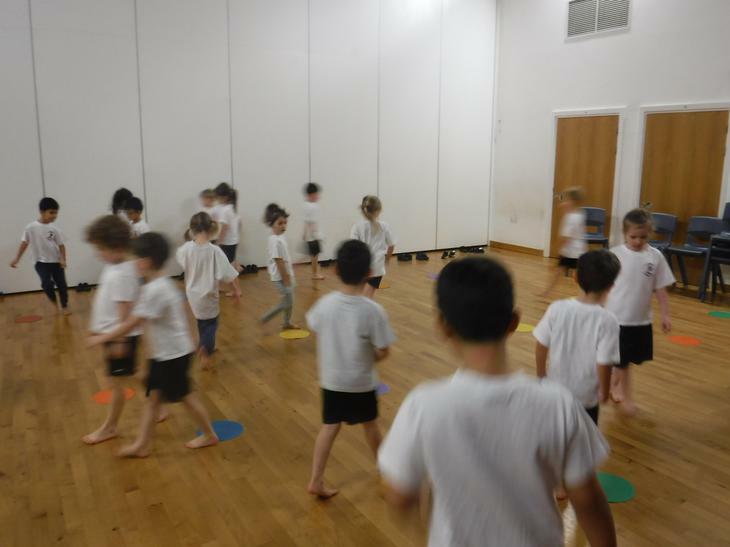 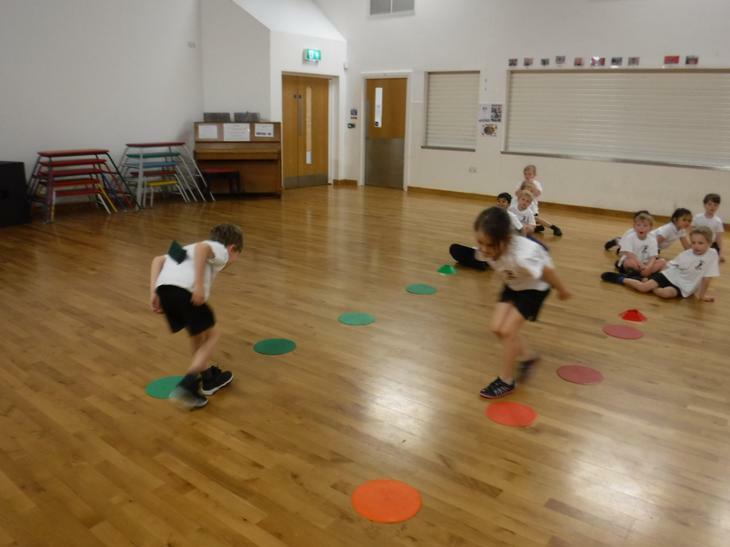 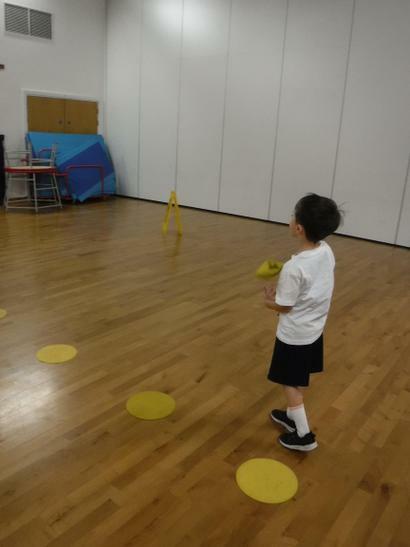 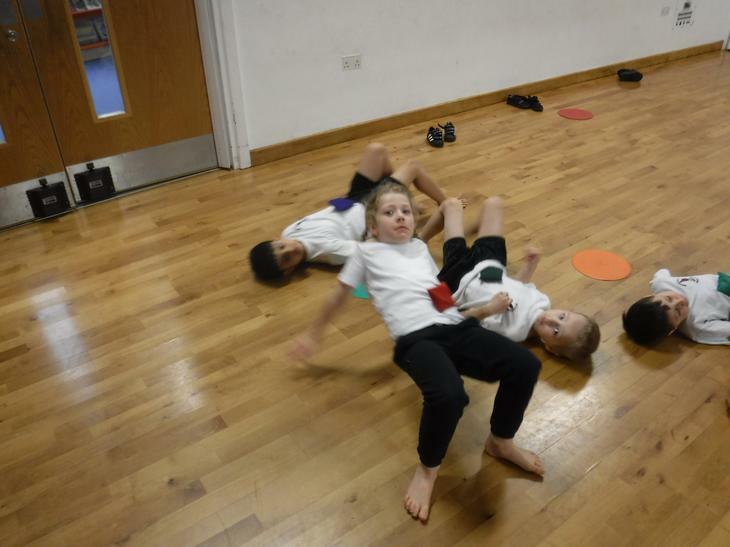 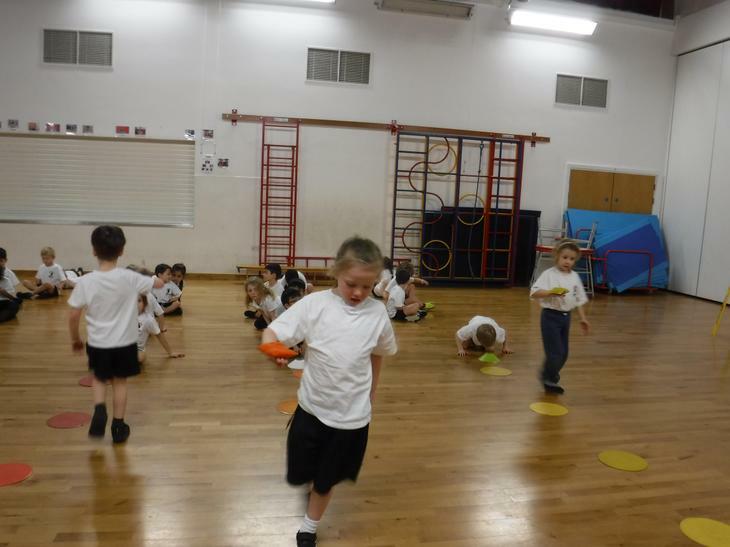 We then held the bean bag with different body part - under arm, knees, feet and elbow. 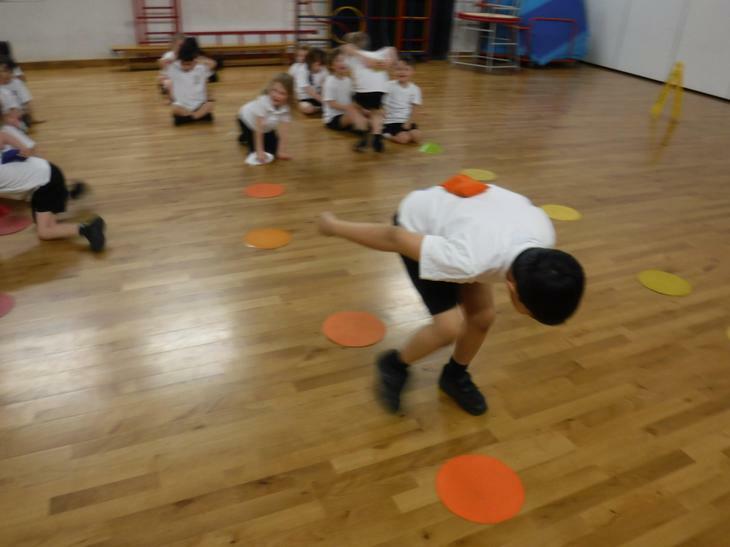 When we became confident, we balanced the bean bag on these different body parts while moving around the room. 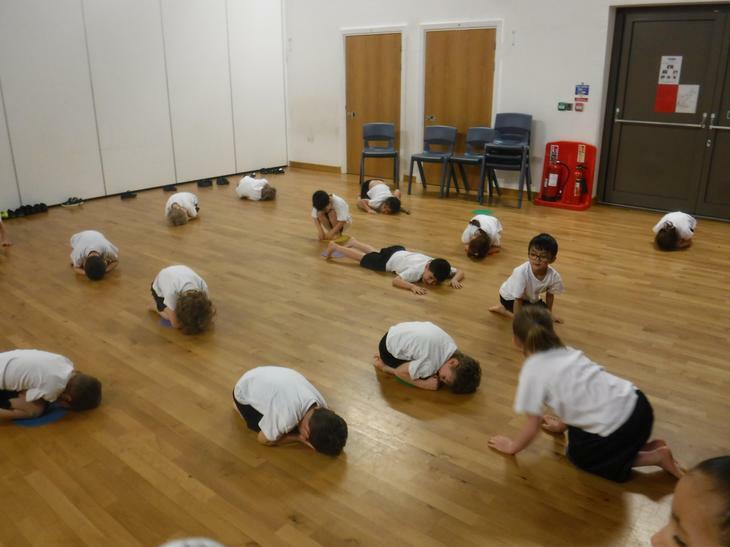 To cool our bodies down, we ended with more stretches. 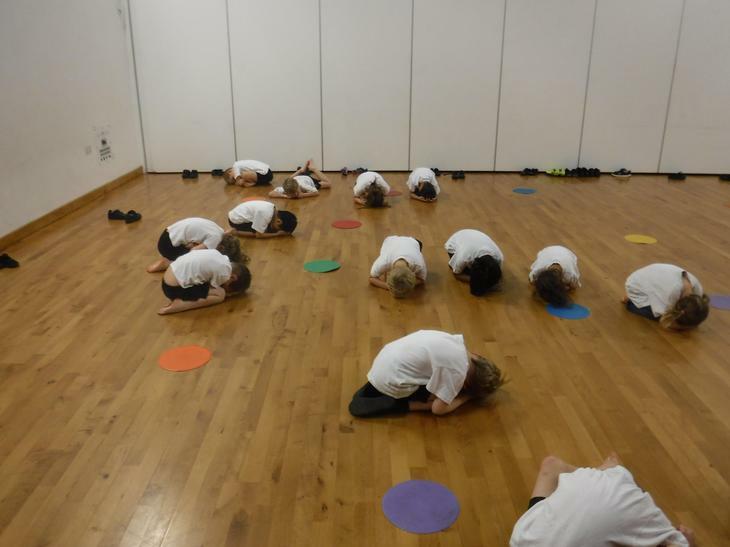 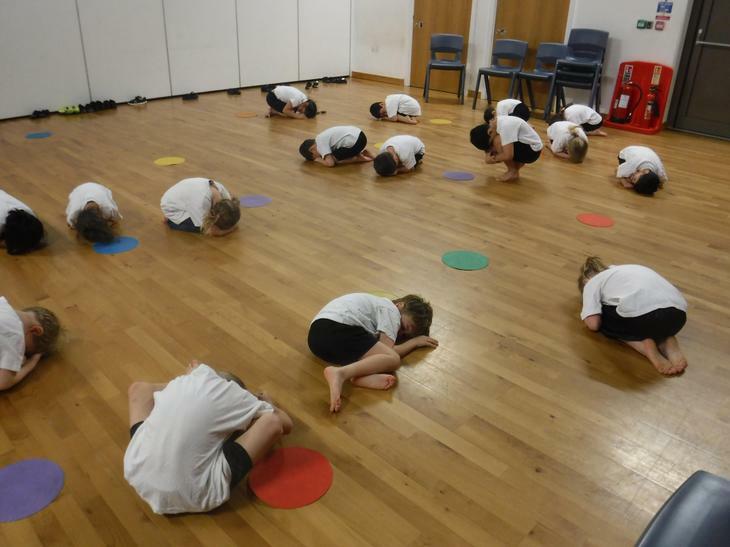 This time we focused on our breathing, stretching our arms up when we breathed in and putting our arms down when we breathed out.